EAS is a proud sponsor of the FDLI Annual Conference, taking place in Washington, D.C. May 2-3. In addition, Senior Director Tara Couch will be participating in a breakout session on day one covering a status update on Modified Risk Tobacco Applications. Also in attendance at the conference, Allen Sayler, Senior Director for Food Consulting Services and Cathryn Sacra, Director of Labeling and Cosmetics Cosmetic Consulting Services. Stop by the EAS table to learn more about our services. EAS recently released the fall compliance seminar dates for our popular food labeling, dietary supplement labeling and dietary supplement GMP seminars. These will take place in Irvine, CA. Dietary Supplement Labeling is November 12-13, and Food Labeling and Dietary Supplement GMP will take place November 14-15, 2019. Join us in Irvine, CA! Senior Director for Pharmaceutical and Device Consulting Services, Bryan Coleman, will speak on recent inspection trends for cosmetic to OTC crossover products at the upcoming CHPA Regulatory and Scientific Affairs Committee Meeting on May 20 in Bethesda, MD. In addition, EAS is a proud sponsor of the Regulatory and Scientific Quality conference which takes place May 21-22, also in Bethesda. Independent Consultant Ronald Levine authored an article on the very serious subject of product recalls published in the Natural Products Insider illustrated through a fictitious conversation between a hypothetical company’s CEO and their attorney as they plan for a recall response. Labeling expert, Gisela Leon discussed supplement facts panel requirements in a recent Tablets and Capsules Spotlight on Nutraceuticals. If you would like more detailed information on requirements, Leon has written a handbook covering the specifics. This can be purchased directly from EAS on our Products page. Senior Advisor for Dietary Supplements, Tim Stewart, discussed GMPs in Natural Products Insider. FDA has been asking for additional information beyond GMPs in recent inspections, inquiring on botanical forms and safety. Stewart discusses compliance challenges and best practices. In addition, Tim contributed to the Insider’s recent Botanicals Digital Magazine. Independent Consultant, Jay Mansour, discussed the movement away from substantial equivalence in favor of performance testing for the 510(k) application process in a recent MedTech Intelligence. “Expanding on the Abbreviated 510(k) Program for demonstrating substantial equivalence for 510(k) premarket submissions, FDA is identifying certain “well understood” medical devices that may be cleared based on performance criteria,” he says. Part-three of Dr. Mehrdad Tajkarimi’s series on designing proper employee training programs to ensure FSMA compliance was published in Food Safety Magazine. In this final section, Mehrdad discusses the important training parameter matrices as well as development of effective training assessments. EAS Senior Director for Food Consulting Services, Allen Sayler, was interviewed for an article published in Food Processing Magazine on the regulatory state of the food industry under the Trump administration. Published during Scott Gottlieb’s tenure as FDA commissioner, Sayler discussed how Gottleib appeared to have the full confidence of the Trump administration. EAS continues to monitor Agency updates under the acting commissioner, Norman Sharpless. Senior Director for Pharmaceutical and Medical Device Consulting Services, Bryan Coleman, wrote a blog for the ISPE’s iSpeak on opportunities ahead for the pharma industry as the Agency works to streamline processes for improved innovations. EAS recently presented three complimentary webinars that are now available for on-demand viewing on the EAS website. The first, on the challenges of preparing infant formula notifications presented by EAS Independent Advisor Robert Martin, Ph.D., Independent Consultants Timothy Morck and Robbie Burns and Senior Director for Food Consulting Services covered an overview of filing and safety study requirements. It can now be viewed on-demand on the EAS website. Next, The FSMA Foreign Supplier Verification Program requires a Qualified Individual, who has the pertinent education and on the job experience enabling him or her to perform their duties, overseeing FSVP. EAS Independent Advisors, Charles Breen and Domenic Veneziano presented an overview of the program as well as addressed common questions asked by the exporters of food products into the U.S. marketplace. Find this on-demand webinar here. Finally, in late March, Susan Crane, EAS Independent Advisor for OTC Drugs and Labeling discussed cosmetics labeling and claims requirements. 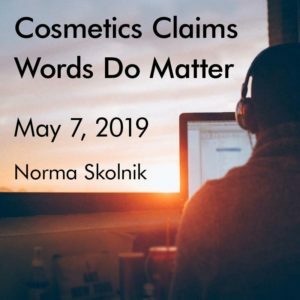 Those wishing for a deeper dive into Cosmetics Claims regulations are invited to join Norma Skolnik on May 7 for a look at how words do matter when it comes to marketing a product. Increasing usage of electronic methods to capture and produce critical data, which are subject to regulatory scrutiny led to the effect of Title 21 CFR Part 11. This part of the Code of Federal Regulations establishes the United States Food and Drug Administration (FDA) regulations on electronic records and electronic signatures. The aim of this regulation is to define the criteria under which the agency will consider electronic records, electronic signatures, and handwritten signatures executed to electronic records to be trustworthy, reliable, and generally equivalent to paper records and handwritten signatures executed on paper. The FDA released a guidance document in 2003 to clarify how part 11 should be implemented and enforced. This has been updated many times, partly due to the fast-emerging changes in technology. In June 2017, the FDA also issued a draft guidance on the use of Electronic Records and Electronic Signatures in Clinical Investigations. The FDA takes accountability of electronic signatures very seriously and upon inspection of these records deficiencies may result in a warning letter. These constantly evolving rules can be daunting to understand and implement. EAS’ team of experts is available to assist your firm in understanding your requirements under 21 CFR Part 11 as well as assess your compliance. Areas in need of strengthening will be addressed giving your firm a detailed action plan for maintaining compliance for both signatures and storage of electronic data. FDA recently announced that verification of compliance with the Intentional Adulteration (IA) rule will begin in March 2020. Addressing hazards that may be intentionally introduced to foods, including by acts of terrorism, with the intent to cause wide-spread harm to public health, the IA rule requires the food industry to implement risk-reducing strategies for processes in food facilities that are significantly vulnerable to intentional adulteration. Those food facilities covered by the rule will be required to develop and implement a food defense plan, (which is part of the Food Safety Modernization Act (FSMA) requirements), identifying vulnerabilities and mitigation strategies for those vulnerabilities. Additionally, facilities will be required to ensure that the mitigation strategies are working. The first compliance date arrives in July 2019. EAS Consulting Group’s FSMA team can help assess current food defense strategies and strengthen those that do not meet FDA’s stringent requirements. FDA issued a Final Rule, effective April 13, 2019, which aims to ensure the safety and effectiveness of OTC hand sanitizers, formally known as topical consumer antiseptic rub products. These products are intended for use without water and marketed under the FDA’s OTC Drug Review. Active ingredients of ethanol, isopropyl alcohol, benzalkonium chloride, which the majority of hand sanitizer rubs on the market contain, have deferred action to allow for the ongoing study and submission of additional safety and effectiveness data to enable FDA’s safety determination for use in OTC consumer antiseptic rub products. At this time, FDA states that it does not intend to take action to remove hand sanitizers containing these three active ingredients from the market and their status will be addressed either after completion and analysis of the studies or at another time, if these studies are not completed. However, 28 other active ingredients, identified in the 2016 Consumer Antiseptic Rub proposed rule, including triclosan and benzethonium chloride, are no longer eligible for inclusion in any future OTC monograph. This long awaited rule finalizes a June 30, 2016 proposed rule on consumer antiseptic rubs, where FDA requested additional scientific data to support the safety and effectiveness of active ingredients used in OTC consumer antiseptic rubs. FDA has determined that less than 3% of the marketplace will be affected by the issuance of this final rule, as most OTC consumer antiseptic rubs use ethyl alcohol as the active ingredient. Concerned companies may contact EAS to learn more about how this Final Rule impacts product formulations and compliance with the OTC monograph. Each month, EAS selects one question sent in by readers to be answered by one of our experts. This month’s question is answered by George Yanulis D.Eng., an expert in medical device safety and the 510(k) process. Question: Why is FDA proposing to change the 510(k) submission process for medical devices? Yanulis: The rapid technological advances in the medical device arena have been dramatic. A 510(k), otherwise known as a Premarket Notification, is the mechanism by which device manufacturers notify FDA of their intent to market a medical device at least 90 days in advance of doing so. By reviewing the data in a 510(k), FDA is able to determine whether the device is equivalent to a device already placed into one of the three classification categories, Class I (General Controls requiring the least amount of regulatory control because they present minimal harm to users), Class II, (General Controls with Special Controls that must comply with specific labeling requirements, mandatory performance standards and postmarket surveillance) or Class III, (those devices requiring a PMA due to insufficient information to assure the safety and effectiveness solely through general or special controls. As a consultant, Class III medical devices have been my primary focus, particularly in the ICD and cardiac pacemaker device areas. On November 26, 2018, then FDA Commissioner Scott Gottlieb announced changes to the process for approving medical devices for the U.S. market aimed at dramatically revamping the popular 510(k) clearance pathway which enables approvals based on predicates. FDA recognizes its current approach has the potential to limit advancing technological innovation and FDA is now looking to limit the age of predicates to ten years in order to avoid using outdated technologies as older predicates are less relevant to today’s requirements of interconnectivity and complexity. FDA is proposing an approval outside of the 510(k) process if the comparable device being used is older than a decade, a change that would significantly disrupt the current process through which the vast majority, (80%) of devices are approved. FDA proposes creating a new alternative 510(k) pathway that will focus on objective safety and performance criteria. While devices more than 10 years old are not believed to be unsafe, nor would those devices need to be removed from the market, the change will encourage use of more modern predicates and as such encourage competition to adopt modern technologies and features while improving overall standards and improving outcomes. As an expert who has collaborated directly with the FDA and particularly with CDRH, I welcome these changes. My expectation is that all devices will continue to be safe and effective, and substantially equivalent as dictated in the 510(k). You may find some of the below FDA resources to be helpful, and please contact EAS with specific questions regarding your 510(k) filing. Big Data, Real World Evidence and The Digital Revolution – Hang On! Executives from AbbVie, AstraZeneca, Bristol-Myers Squibb, Merck and Co., Johnson and Johnson, Pfizer and Sanofi were grilled on Capital Hill in February on topics ranging from drug pricing, reimbursement, rebates and patent extensions to executive compensation. Senators called for new actions to address the high cost of prescription drugs in America. Costs to the consumer and healthcare systems are immense. The US spent 345 billion USD on prescription drugs in 2018 and growth estimates could reach 500 billion by 2025. Although not discussed at the hearing, a significant portion (15% to 20%) of the pharma revenue stream is used for pharmaceutical R and D. This investment is the lifeblood of the global pharmaceutical industry. However, discovery, development and commercialization of a NCE or biologic could cost as much as 2.0 billion USD when failures and opportunity costs are taken into consideration. Adding to the cost and risk is the complexity of modern drug development. Establishing drug safety, determining efficacy and ensuring product quality are expensive tasks that must be monitored by sponsors and regulatory agencies. Then, there is the issue of reimbursement: market access, value proposition and pricing are the domain of the commercial payers, the new stakeholder with requirements that must be addressed in all development and commercialization scenarios. Designing and aligning the appropriate regulatory strategy for each development asset is a critical component of program success. Here are a few of the emerging topics in drug development that should be contemplated when constructing the regulatory pathway for a NCE or biologic. “Big Data” is a term used to describe large complex historical data sets that can be extracted and analyzed using methods that are different from traditional data management procedures. One application of “big data” gaining some traction in clinical trial design is the use of historical information to create a “synthetic” control arm instead of a traditional placebo treatment. The use of synthetic controls will never replace the randomized controlled study design but the new analysis tools for complex “big data” sets could cut control groups in half or replace them altogether, especially when traditional designs become prohibitive or historical data is complete and well-characterized. Real World Evidence (RWE) and Patient Centricity. RWE is information collected outside of a formal clinical trial. It includes electronic medical records, claims and billing data, patient and disease registries and data gathered through wearable digital devices. 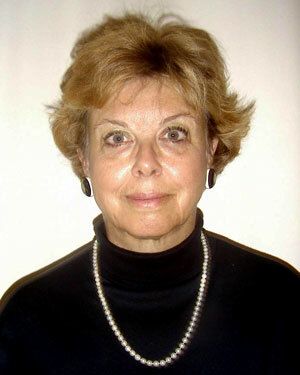 In a recent address to the National Academy of Sciences and in a subsequent publication, CDER’s Janet Woodcock advocated for the use of RWE as a way of collecting and using patient data in clinical trials. Woodcock noted there has been little use of RWE in drug regulatory decisions regarding drug effectiveness. A draft guidance on RWE and a framework for its use is in the works at FDA and scheduled for release in 2020. Further, regulatory agencies have been asking for information on how clinical trials can be “fit for purpose” “with the patient population. Sponsors are now checking protocol design and interventions with patients, not just investigators, KOLs and internal experts. Patient centricity will be very relevant in future regulatory dossier reviews and approvals. The Digital Health Revolution. Ten years ago it was hard to envision that connectable biosensors, wearables, implantables, smartphone applications, artificial intelligence, remote patient monitoring and machine learning would impact data collection and enable the emergence of personalized medicine. Now, many study protocols use digital and mobile technology as an integral part of study execution. Value Proposition and Reimbursement. The “fee for care” model used in healthcare is shifting to value-based reimbursement. While regulatory approval requires demonstration of patient safety and efficacy, payer access requires a clear demonstration of a value proposition to qualify for reimbursement. Pipeline commercial development centered on pricing, market access and payer acceptance are now built into development programs long before final investment decisions are made at the governance level. Elements of the value proposition could include differentiation over standard-of-care, price, ease of use and innovative packaging. These are just a few of the issues that impact strategic regulatory drug development right now. There are others: biosimilars, regulatory guidance for cell and gene therapy and precision medicine applications to minimize patient variability and improve response rate. On top of all this, regulators and sponsors will have to guide new product promotion to be consistent with product labeling as drug development and regulatory approval become more complex. EAS offers a wealth of knowledge, enabling the development of regulatory strategies that best position your products in today’s environment. For more information or to discuss your product’s challenges contact Bryan J. Coleman, Senior Director for Pharmaceuticals and Medical Devices at bcoleman@easconsultinggroup.com. We also invite you to view our industry services sheet or the pharmaceutical tab on the EAS website. Welcome to the May 2019 edition of EAS-e-News, the free newsletter dedicated to FDA regulated industries.It has been a busy month at EAS, with the release of new complimentary On-Demand webinars, announcements of new training seminars, publication of numerous articles on a wide-variety of subjects as well as a fantastic attendance at the EAS booth during the recent Supplyside East. For those of you who had an opportunity to meet with Tara Couch, our senior director for dietary supplements and Heather Fairman, one of our expert independent consultants I am sure you came away with a lot of great information on EAS and how we can begin to assist your company with any number of FDA requirements. For those who were unable to attend, I invite you to take a look at our quick reference information sheets to learn more about EAS. We are always glad to speak with you about your GMP questions or concerns. If you will be in Geneva for Vitafoods Europe, May 7-9 we invite you to come by the EAS booth, B149, to meet Tara Couch and Charles Breen, our Independent Advisor for FSMA. In addition to exhibiting at Vitafoods, EAS is a proud training partner for the show, offering a one-day comprehensive look at GMPs for the dietary supplement industry. Registrations for this seminar, taking place May 6, the day before the official start of Vitafoods, is being handled through Vitafoods directly. In addition, Charles Breen will be speaking as part of the technical sessions on hygienic commitments for food safety. FDA has OMB approval to initiate a short voluntary survey of the cosmetics industry, which will assess a variety of GMP aspects such as building and grounds, written procedures, materials and manufacturing and more. This survey is important to help FDA gain a better understanding of the current state of industry GMPs and the results provided to FDA will have no identifying information, nor will responses be used by the agency to initiate enforcement actions. A Federal Register notice regarding the survey can be found here and we encourage cosmetics firms to participate in this effort. In other FDA news, a new effort to bolster the collaboration between FDA and the Customs and U.S. Border Patrol (CBP) is underway to better protect against illegal and harmful products from gaining entry into the U.S. through the mail system, or other ports of entry, through the enhancement of knowledge transfer, reduction in duplication of efforts and streamlining mission efficiencies. More information on this effort can be found in the What’s New at FDA section of this edition. As mentioned earlier, we are pleased that numerous compliance seminars are both approaching and new on the horizon. Our next GMP One-day Refresher training will take place in Andover, MA on August 13, just outside of Boston. This one-day session is designed as an opportunity to outsource your department’s GMP refresher training. At just $300 per registration it is a great and cost-effective opportunity for your entire team to learn from our experts. More information about our August session as well as the November Refresher which will take place on Long Island can be found on the EAS website. Our fall food labeling, dietary supplement labeling and dietary supplement GMP seminars have just been announced. Join us this November in Irvine, CA for a deep two-day dive into these challenging FDA requirements. More information can be found in the EAS in Action section of this issue. Additionally, we have two complimentary webinars coming up in May. On May 7 join Norma Skolnik for a look at how FDA eyes certain cosmetics claims and on May 14 join Jeff Roberts for a look at compliance with 21 CFR Part 11. Also, on June 13 we invite you to join EAS Senior Director for Pharmaceuticals and Devices, Bryan Coleman for a look at GMPs for OTCs. Our issue of the month is written by John Brennan and looks at pharma big data, real world evidence and the Digital Revolution and our Ask the Expert on FDA’s plans to revamp the 510(k) process is answered by George Yanulis. Finally, I am pleased to welcome a new independent consultant, Dennis Gaalswyck and a new office manager, Kate Gibson. Learn more in our Who’s Who section of this edition. As always, thank you for your interest in EAS and we invite you to share this newsletter with your colleagues. EAS Independent Advisor for OTC Drugs and Labeling, Susan Crane, published a blog discussing the future of Homeopathy on the International Society of Pharmaceutical Engineering (ISPE) blog page iSpeak. FDA and FTC are taking a more proactive approach to homeopathic drugs indicating that they will be held to the same standard as other products with regard to claims. Regardless of the type of industry, if you are regulated by the FDA you are bound by the rules around electronic data integrity. Whether preparing to release a finished batch of material, making decisions on data and information that was created and generated electronically or preparing to file a technical dossier with the FDA; your electronic recordkeeping and other electronic data forms require more than just being available for review and inspection. The FDA requires these sources of evidence to be generated, processed and maintained in a manner that provides complete traceability, prevents unauthorized alteration and requires a verified electronic signature that ensures identity and authenticity. Learn the specifics of Part 11 requirements for electronic signatures with Jeffrey Roberts on May 14, 2019. This complimentary webinar will discuss how record keeping is inclusive of a larger focus on GMPs for electronic records that are created, modified, maintained, archived, retrieved, or transmitted as well the specifics of content that must be included in these records for verification and validation. Welcome to the April 2019 edition of EASeNews, the free newsletter for industries regulated by FDA. We are pleased to announce our latest short video describing the many services that EAS provides. This month our regulatory specialist, Victoria Pankovich, shares the various FDA requirements for company registrations and product listings. As you may know, the complexities of registrations differ by product category, and not all commodities are required to list their products. EAS helps you to sort through what is required and what information is needed to comply with FDA regulations in this regard. Should you wish to outsource this annual or biannual requirement, EAS is available to help. If we missed you at our recent food and dietary supplement labeling compliance seminars in Philadelphia, it is not too late to purchase the companion handbook for the seminar. The Food Labeling Handbook and the Dietary Supplement Labeling Handbook were written by instructor Gisela Leon and share points on how to ensure label accuracy, from what and how information must be covered to more detailed specifics of FDA compliance. To purchase your copy please visit the EAS store. If you haven’t registered for our one-day seminar Ensuring Regulatory Compliance of GMP Laboratories seminar which will be taught by Senior Director Tara Lin Couch, Ph.D. in Denver on April 23, there is still time. This one-day intensive program will discuss FDA’s current GMP requirements for Research and Development and Quality Control Laboratories and will highlight FDA issues of concern with emphasis placed on recent FDA regulatory or administrative actions. All of this will allow participants to gain an understanding of the importance of laboratory GMPs and how to meet FDA’s requirements. Please join us in Denver! Our issue of the month author is Joe Famiglietti who discusses preparing for a FDA Preventive Controls inspection. Our Ask the Expert is answered by Tim Hansen and discusses how seafood importers can protect themselves from unscrupulous suppliers. Lastly our new section, Did you Know? covers EAS expert witness considerations, an area in which EAS is proud to have deep roots with our over 50 independent consultants who can act in an expert witness capacity. We welcome a number of new consultants this month: Robert Post, Heidi Stuttz, Jan Janson, William Scopa and Joel Martinez. I invite you to learn more about their backgrounds in Who’s Who. Thank you as always for your interest in EAS and please feel free to forward this newsletter onto a colleague or link with us on LinkedIn. Charlotte Peyton, a noted expert in cannabis, has published an article in a recent Cannabis Industry Journal. She discusses FDA’s stance with Hemp, CBD versus Isolates, and good manufacturing practice considerations. You may also wish to view the recent 2018 Farm Bill and the Cannabis Industry webinar presented by Attorney Marc Ullman, Of Counsel with Rivkin Radler and Tara Lin Couch, PhD, Senior Director of Dietary Supplement and Tobacco Services. This webinar is available on-demand on the EAS website. The new rule on Preventative Controls for Human Food is mandated by the 2011 FDA Food Safety Modernization Act. Preventive Controls (PC) are steps that a food facility must take to reduce or eliminate food safety hazards. The rule also includes updates to the Current Good Manufacturing Practice (CGMP) requirements such as mandatory training and procedures to control allergen cross-contact. In general, the new rule applies to you if you are required to register with FDA and if you manufacture, process, pack or hold foods. By now, all firms meeting the activities in the prior sentence have to be in compliance with the PC rule unless they are exempt or subject to modified requirements. Firms covered by the new rule must have and implement a written food safety plan (FSP) and are further required to conduct a hazard analysis in order to identify food safety hazards requiring controls including preventive controls. The new rule requires an appropriate control be developed and implemented that could include process, allergen, sanitation or other controls. When preventive controls are required, the FSP must also include written procedures for monitoring, corrective actions, verification (including validation as deemed necessary) and supporting records, as well as a written recall plan and a supply chain program. The FSP must be prepared or its preparation overseen by a preventive controls qualified individual (PCQI). If your company is using an existing HACCP program, changes are required in developing a FSP because control need not always be at a CCP (critical control point), but can be handled by a prerequisite program or a preventative control program. For example, allergen cross-contact can be controlled by a written sanitation preventative control program that requires proper cleaning methods be implemented rather than establishing critical limits at a CCP. The preparation of a proper FSP is crucial, since this is one of the first documents FDA will likely request to see during a PC inspection. There is no standardized or required format for the FSP, but all of the elements as required in 21 CFR 117.126(b) must be in the written document. FDA has published guidance regarding the preparation of a FSP and hazard analysis. See https://www.fda.gov/downloads/Food/GuidanceRegulation/FSMA/UC517391.pdf. Have a written plan covering how your company will handle an FDA inspection that includes a working area for the FDA and that assigns responsibilities for your employees who will be involved in the inspection. You need to have a policy on how to handle any objectionable conditions FDA may bring to your attention and make an attempt to correct any of these conditions while FDA is on-site. Be sure your FSP is in final form and is signed by your firm’s owner, operator or agent in charge and be sure there is at least one person who is familiar with the overall food safety program who can explain it to the FDA. Have training records readily available including PCQI training / qualifications, employee sanitation training and records documenting the qualifications all employees including supervisors. Be sure record keeping is in order and is easily accessible including monitoring and verification records. If operational or FSP deviations have occurred, be sure appropriate corrective actions have been taken supported by records that must be made available for FDA review. Be sure your allergen control procedures are in order. All ingredient labels should be reviewed to assure they are accurate and contain all required allergen labeling. Be sure all cGMPs are being followed to prevent unintentional allergen cross-contact issues during ingredient receipt, storage, process, packaging and labeling operations. Conduct your own environmental monitoring. FDA will likely swab for microbes if you are producing ready-to-eat (RTE) foods that are exposed to the environment prior to packaging. You need to be sure you are conducting an appropriate monitoring program before FDA arrives. If problem areas are identified, corrective actions need to be implemented. If product testing is used to verify a control, be sure the test is scientifically valid and have corrective action procedures in the event of positive results. You must conduct reanalysis of the FSP at least once every three years or whenever there is a significant change that effects food safety. Be sure you have information and records regarding where raw materials are sourced and documentation that the materials are being purchased from approved vendors. It is no longer an option to purchase raw materials from just any source. The new rule requires there must be a supply chain program which includes documentation demonstrating that either suppliers provide safe raw materials, or that another party will apply controls for the hazard. For food with a hazard requiring a PC, there is now a requirement to have a written recall procedure that includes descriptions of the steps to be taken as well as assigning responsibility for taking those steps. Conduct or hire an experienced consultant to perform a mock FDA inspection that includes a thorough sanitation audit and review of your programs and records. Conducting a gap analysis audit of your operation will assist in identifying areas that require improvement before FDA finds them. Be sure all labels being used have been reviewed and approved by a food label expert. In summary, FDA is in full enforcement mode related to the FSMA Preventive Controls regulation. The food manufacturing industry needs to have its food safety program updated to incorporate the Preventive Control provisions. Your PCQI and entire QA staff as well as plant supervisors should be prepared to answer FDA’s questions and demonstrate that you conduct your business in a preventive mode of operation. With proper planning you can have a positive experience from an FDA PC-based inspection and continue to provide consumers with safe foods. Tara Lin Couch, Ph.D. and Independent Consultant Heather Fairman will represent EAS at the upcoming SupplySide East in Secaucus, NJ April 9-10, 2019. This is a great opportunity to meet the EAS team to discuss your questions regarding dietary supplement regulations and how to prepare for cannabis GMPs. If you would like to schedule a meeting at SupplySide East please contact us. Steve Armstrong, EAS Independent Advisor for Food Law and Regulation, is co-author of an article published in the March 2019 Food Drug Law Institute Update Magazine covering FDA’s recent decision to delist six synthetic ingredients as required by the Delaney Clause, a 60-year-old provision of the Food, Drug, and Cosmetic Act (FDCA) which states, in plain language that FDA may not approve any food additive—even one that is safe—if it is “found to induce cancer” in laboratory animals. Steve hypothesizes as to whether it is time to repeal the Delaney Clause. Each month, EAS answers one question sent in by our readers. This month’s Ask the Expert is answered by Independent Consultant and former head of the NOAA Seafood Inspection Program and Division Director in FDA’s Office of Seafood, Timothy Hansen. Tim has extensive experience in seafood regulatory affairs, certification, and advises the seafood industry on science and technological matters. If you would like to ask a question of one of our experts, click here. Question: As a seafood importer how can I protect myself from fraudulent suppliers? Species substitution, usually representing a lower cost but similar species as a higher cost or higher quality species such as Chum Salmon for Coho Salmon. When this occurs, not only is the fish fraudulent but so too is the labeling including PDP, weight declaration and nutritional information. In other cases, suppliers may provide a fraudulent shipment weight due to overglazing of ice, overbreading that exceeds USDC, NIST or AOAC standards, or even what is called “rat packing” where the superior product is on top, hiding the inferior product underneath. According to the NOAA Fisheries Seafood Inspection Program, as of 2014 around 30% of seafood in the U.S. is considered fraudulent. This can be attributed to intentional fraud where the seafood operator is looking to gain an unearned profit, “best” the competition, or they commit fraud due to pressures stemming from the inability to fill customer orders. In other cases, unintentional fraud may also be committed, attributed to honest mistakes such as the misinterpretation of regulations or miscommunications and messaging errors due to poor process controls which lead to unknowingly receiving and accepting a fraudulent product from a supplier. There are a number of ways the seafood industry can protect themselves, the most obvious of which is to develop relationships with reputable suppliers and to regularly inspect incoming shipments. In addition, if your firm does not already have fully developed product specifications guidelines consider creating these as part of your business operations plan. You will also want to have a Quality plan in addition to your HACCP plan and enhance your labeling controls beyond the minimum HACCP requirements. Consider also utilizing process control techniques such as statistical weight control charts and Quality Assurance software. Protocols for all Quality, HACCP and other SOPs must be developed by a competent person, either within your organization or created by an outside entity, such as EAS, with expertise specific to the seafood industry. Ensuring compliant process control techniques can significantly increase your company’s integrity, leading to a satisfied customer, and reduce your risk of regulatory action. EAS has a team of experts with career histories in FDA inspections and the seafood industry. If we can help your company to create or improve your compliance programs, please give us a call. We invite you to view our many industry services facts sheets on the EAS website, or more specifically that which pertains to our seafood services. Independent Consultant, Joe Famiglietti, provides guidance to clients regarding FDA compliance matters. He has performed onsite audits at food manufacturing facilities and evaluated production and quality control operations for compliance with FDA regulations. 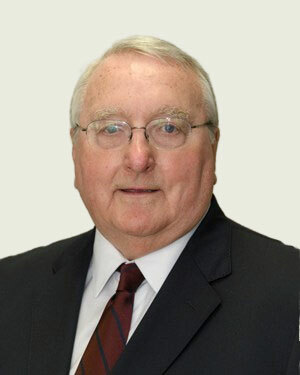 Joe has experience in inspections of food manufacturing areas including low acid canned foods, acidified foods, infant formula and seafood HACCP. He assists in facility sanitation issues, provides in-house training to employees on food GMP issues and procedures for handling FDA inspections. Prior to consulting, Joe was a Compliance Officer at the FDA New York District, Import Operations Branch in Buffalo. In the competitive cosmetics world, discerning consumers are carefully considering product purchases to determine which offer the results they are hoping to achieve. In response, the pressure on marketing and labeling teams may entice to push the envelope with regards to product claims. However, words do matter, particularly in the eyes of FDA. Learn how the words used on a cosmetic label can alter the intended meaning of a claim and FDA views on them. Ensure your cosmetic products are labeled and marketed in a compliant manner, offering consumers an accurate understanding of what they can expect and protecting your products from FDA concerns. Join Norma Skolnik on May 7, 2019 for a complimentary webinar and ensure your cosmetic product labeling and claims are compliant with FDA regulations. EAS is a proud event sponsor for the upcoming CHPA Regulatory Scientific and Quality Conference taking place in Bethesda, MD May 21-22, 2019. In addition, Bryan J. Coleman, Senior Director for Pharmaceuticals and Medical Devices will be speaking on Recent FDA inspection trends in Cosmetic to OTC cross-over products at a special Regulatory & Scientific Affairs Committee meeting which is being held May 20, before the kick-off of RSQ. EAS Independent Consultant, Brian Nadel, is an invited speaker on the subject of Pharma Data Integrity at the upcoming CPhI North America which will be held in Chicago April 30-May 2, 2019. Join Brian for a discussion on the reasons why once FDA considers some of a company’s data to be inaccurate it considers all of their data to be inaccurate. Brian will also discuss methods for ensuring data integrity both now and in the future. 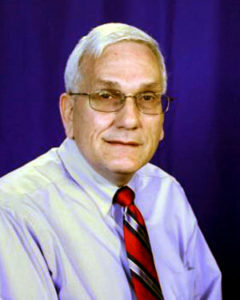 Robert Post, Ph.D., MEd., MSc. 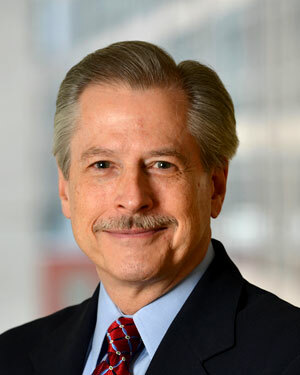 Dr. Robert Post is a former food industry executive, White House and regulatory agency executive, and university instructor with expertise in food science and nutrition. His roles in the food industry have included leading nutrition and regulatory affairs; corporate health and wellness programs; and food and health communications to support marketing and customers/sales. He has also directed legislative affairs, food ingredient specifications and approvals, food product design and innovation, food labeling and nutrition labeling strategies, design, and compliance; and brand communications strategies for customers, consumers, and health professionals. In the Federal sector, Rob directed the agencies that set the Dietary Guidelines for Americans, created MyPlate(.gov), and the national nutrition evidence library, supporting the White House as a key nutrition advisor. All roles involved expert mining of food and nutrition research and setting research pipelines for product design and product and process claims substantiation. 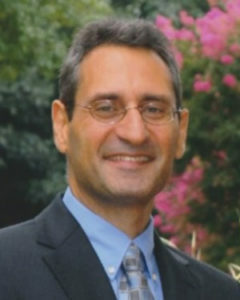 Prior to consulting Rob was the Senior Director for Chobani Health and Wellness and Regulatory Affairs. He also served as the Executive Director for Center for Nutrition Policy and Promotion in the U.S. Department of Agriculture. Heidi Stuttz is an expert in biotech and medical device oversight. She assists clients with a variety of projects including R&D programs, FDA submissions, EMEA dossiers, compliance enhancements and quality improvement initiatives. Assisting with product development processes from clinical trials to commercialization, Heidi demonstrates proven success with facilitating product development and moving regulatory programs forward. Heidi is experienced with auditing cGMPs for continuous process improvements, FDA ISO9000, records management as well as laboratory compliance/controls and validation and facilities and utility validation and remediation. 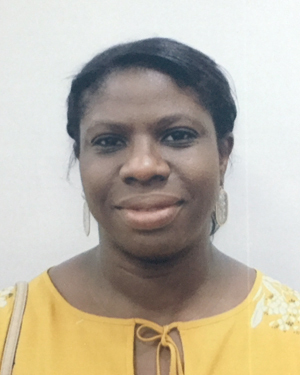 She has worked as a Senior Project/Program Manager with Solution Systems and as a Quality Assurance Specialist at Wyeth Vaccines Division. Heidi has a M.S. from Johns Hopkins University, with degree in Biotechnology, Enterprise and Entrepreneurship, and concentration in Legal/Regulatory. Mr. Scopa has over 30 years at Customs and Border Protection (CBP) at both ports of entry and Headquarters. During 15 years at the ports, he processed both the import and export clearance of cargo and passengers. At Headquarters, as a Branch Chief, he led the development of policies and procedures. These policies and procedures addressed such areas as, Intellectual Property Rights, Anti-Dumping and Countervailing Duties, and revenue collections. He spent several years leading CBP’s trade enforcement efforts in targeting evasion such as misclassification and undervaluation. His last position was CBP’s liaison to other government agencies and he worked with the other agencies to develop CBP import processing of the other agency imports for such agencies as EPA, FDA, and DEA. These processes included clearing other agency cargo under the Automated Commercial Environment (ACE). Jan Janson is a quality consultant who provides assessments and recommendations on QMS development, Quality and Supplier Management. He conducts internal and supplier audits, develops product quality initiatives, supports CAPA and complaint analysis and more. In addition, Jan has extensive experience with audits against GMPs, Process Validation Reviews including process, software and methods and helps firms develop protocols for FDA 820, ISO 3485 compliance. Prior to consulting Jan was a Quality Manager at Biomet and Senior Quality Supplier Engineer at Medtronic. 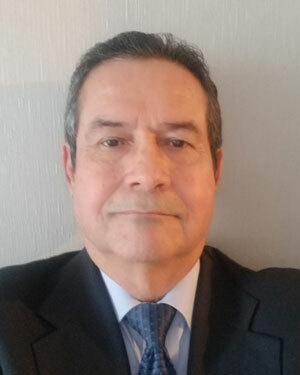 As a former certified ORA BIMO FDA Investigator, Joel Martinez has completed 20-25 BIMO inspections in all therapeutic areas, interacting with CDER’s Office of Scientific Investigations (OSI) medical reviewers and BIMO Office of Compliance personnel for CBER, CDRH and CVM. He has significant experience in recognizing and understanding significant inspectional observations which would warrant further regulatory action and assists clients with understanding critical areas for a Sponsor/CRO in terms of being compliance with applicable 21 CFR regulations. Joel also conducts GLP audits domestically and internationally gaining inspectional experience of non-clinical laboratories. An effective Expert Witness is more than one who can write expert opinions, be deposed or provide testimony in court. Experts must represent your company accurately, independently and objectively in matters of legal proceedings and do so in a manner that enables them to communicate to, connect with, and convince the decision maker, whether that decision will be made by a jury or mediator. Agencies, judges and juries want to hear from well-respected and knowledgeable expert witnesses. Whether the issue is recalls, labeling claims, safety audits, or almost any other challenge to a facility or a product, having a competent expert by your side can make all the difference. EAS independent advisors and consultants are routinely called to serve as an expert witness in a variety of cases. Our team of over 50 former high-level FDA officials and industry executives who act in an expert witness capacity average over 25 years of regulatory experience and include some of the most well-known and highly respected names in the industry. These experts have the knowledge, qualifications, and experience necessary to explain and clarify issues to our clients and the courts while establishing credibility and persuasiveness as witnesses. If EAS can be of assistance as you prepare for your next litigation or mediation challenge, please reach out to Dean Cirotta, President and COO directly. EAS will assure that the specific needs and requirements of your case will be matched with an expert whose knowledge and experience enhances your client’s legal standing. In order to create a smart and quick-moving infrastructure that can adapt to the needs of future organizational, regulatory and scientific requirements, the Center for Devices and Radiological Health (CDRH) is beginning the implementation of a reorganization. The reorganization will integrate CDRH’s premarket and post-market program functions along product lines, allowing their experts to leverage their knowledge to optimize decision-making across the product life cycle. This type of approach blends many of the current aspects of product review, quality, surveillance and enforcement into a new, team-based approach. With the implementation of reorganization, the FDA aims to enhance information-sharing across the Center, increase collective decision-making, improve work-life balance and increase professional opportunities for employees. The implementation is set to begin March 2019 and is expected to be completed by September 2019. FDA says the implementation will take place in a phased approach, and timelines for implementation will vary by office. Each office within the current CDRH structure is undergoing some change in order to better support and advance CDRH’s public health mission and vision. Will Pathogens Cause FDA to Suspend Your Food Facility Registrations? Welcome to the March 2019 issue of EASeNews, the free newsletter for industries regulated by FDA. It is hard to believe it is already March and with spring right around the corner, if you haven’t already signed up for your “spring training” I invite you to join EAS at one of our upcoming regulatory compliance seminars. Food and Dietary Supplement Labeling will be held in Philadelphia beginning March 12, 2019; the Dietary Supplement GMP two-day seminar will be held April 2-3, 2019 also in Philly; the Compliance with GMP Requirements for Dietary Supplement Laboratories seminar will take place April 23, 2019 in Denver and May 7 begins our four Dietary Supplement GMP One-day Refresher Series. The first Refresher takes place in Denton, TX, just outside of Dallas on May 7th, and the second takes place in Riverside, CA on May 14th. We invite you to join us! In addition to seminars, we have a number of complimentary webinars this spring, with two new topics recently added. What Does the 2018 Farm Bill Mean for the Cannabis Industry? will take place on March 13, 2019, and Dietary Supplements and FSMA Compliance – Fallacy or Fact? will take place April 16, 2019. As you know, we take great pride in bringing you important regulatory information which can help you develop and improve practices to meet FDA requirements. To learn more about these two newest webinars or to see our entire line up of spring EAS webinars, please visit the webinars page of the EAS website. From OTCs, to Cosmetics, to Cannabis to Dietary Supplements, we have something for you. I am very pleased to welcome a number of esteemed colleagues who are new EAS Independent Consultants. This month we welcome Janet Collins, Sophia Lily, Jay Mansour, Jeffrey Roberts, and George Yanulis. You may read more in the Who’s Who section of this issue. Our issue of the month is written by Kathy Knutson, Ph.D. and concerns a very real problem for the industry – that of the identification and storage of pathogen genomic information in database trackers which can years later reemerge as a problem for a facility, even when the pathogen is not isolated in a finished product. Dr. Knutson raises interesting questions and I encourage everyone to use this article as a starting point to renew your commitment to sanitary facilities and hypervigilance against contaminations. Our Ask the Expert is answered by Ronald J. Levine, who is both an EAS Independent Consultant and General Counsel at the firm Herrick, Feinstein LLP and discusses the importance of finding an expert witness that will well represent your firm in litigation, mediation matters, the preparation of expert opinion papers and more. EAS has nearly 70 consultants who we recognize as experts who can act as an extension of legal teams. To learn more about our services, please view our industry services sheet which explains some of our capabilities in more detail. You may have also seen our recent press release discussing EAS capabilities acting in the capacity of an expert witness. If you missed it, I invite you to view it on our LinkedIn Page. Lastly, I am very pleased to announce the release of our new short video discussing FSVP and Qualified Individual Requirementsplaced on the Food industry by FDA. We had a lot of fun putting this together and hope that you find it enjoyable as well as informative. Please, as always let me know if you have any questions on this service or any other that EAS provides. Join EAS Independent Advisor for Food Law and Regulation, Steve Armstrong, at the upcoming FDLI Intro to Food Law and Regulation taking place in Washington, D.C., March 19-20, 2019. Steve will be part of an esteemed group of presenters and will discuss Food Safety and Unintended Components and Contaminants of Food. Click here to hear more. In addition, Steve will be speaking again at the FDLI Food Enforcement conference on March 21, 2019. He will be part of a panel discussion on FDA’s FSMA enforcement. How Do Legal Teams Find and Identify Good Expert Witnesses? Each month EAS answers one question sent in by a reader. This month’s question on how to choose an expert witness for FDA legal proceedings is answered by Independent Consultant, Ronald J. Levine. Ron has had a successful career history as a litigator at one of the top New York law firms and is available to EAS clients for assistance with compliance questions and risk assessments. We were interested in hearing Ron’s thoughts since EAS provides consultants who can become a part of a legal team, by writing expert opinions, participating in depositions or being called to the stand as an expert witness. You can view EAS’ Expert Witness Services Sheet to learn more. If you would like to ask a question of our independent consultants, please contact us. Thank you for an excellent question. As a litigator who has retained many expert witnesses during my 40- year career as a lawyer, I have found that finding the right expert for a case can make all the difference in the world. In almost any investigation or litigation involving regulated products, an expert can help explain your position to the fact-finder and render opinions which an average person would not have the knowledge or experience to offer. The FDA expert’s ability to offer a deep understanding of complex regulations and production protocols, such as Good Manufacturing Practices (GMP); and assistance with developing strategy in responding to the FDA; can make the expert a valuable extension of the legal team. Where are the Legal Teams Looking? Once the legal team has identified the subject area and credentials of the expert required for the task, they will begin the search. The team may well begin with publications, articles and websites in the practice area and will be most interested in the positions the expert has taken in the past on the topic at issue – to see whether the opinion aligns with the legal team’s stance. Experts who have testified previously, with names appearing in published court opinions, may be found by attorneys who are researching the legal authority in the area. Also, legal teams may send out queries via bar groups and industry associations. How can I find a “Good” Expert? There are at least three qualities of a “good” expert witness. First and foremost, experts should be able to articulate what makes them an expert. Expertise could be based upon academic and professional credentials​ and on the job experience. In some cases, experience as an academic provides extra credibility, particularly those who have published in peer-reviewed journals. Secondly, a “good” expert is one who is able to articulate his or her opinions in a manner which lay people will understand and accept. The expert will not be addressing peers who talk the same language. They will be trying to convince a jury, who may have limited educational credentials​ and no experience in the field. Legal teams will also be looking for experts who are poised and make others feel comfortable. They are going to avoid those who arrogant or not willing to listen. Finally, legal teams are looking for experts who are able to handle themselves under intense cross-examination. They need to be able to listen to questions. The expert must be on the alert for trick questions, and know how to answer questions posed by experienced trial lawyers. Legal teams want to work with a seasoned expert who are familiar with the courtroom. On February 21, 2019 FDA issued a proposed rule that would update regulatory requirements for most sunscreen products in the United States. Aimed at bringing nonprescription, over-the-counter (OTC) sunscreens that are marketed without FDA-approved applications up to date with the latest science, the provisions address sunscreen active ingredient safety, dosage forms, and sun protection factor (SPF) and broad-spectrum requirements. It also proposes updates to how products are labeled to make it easier for consumers to identify key product information. Per FDA, the agency is issuing this proposed rule to put into effect final monograph regulations for OTC sunscreen drug products as required by the Sunscreen Innovation Act. OTC monographs establish conditions under which the FDA permits certain OTC drugs to be marketed without approved new drug applications because they are generally recognized as safe and effective (GRASE) and not misbranded. Over the last twenty years, new scientific evidence has helped to shape the FDA’s perspective on the conditions, including active ingredients and dosage forms, under which sunscreens could be considered GRASE. For more information, please visit: Sunscreen Proposed Rule. You may also be interested in EAS complimentary webinar series on OTCs which includes a discussion of monograph reform expectations, labeling, registrations and lists and more. For more information please visit the upcoming webinars page on the EAS website or view our many on-demand webinars on a variety of topics pertinent to the industry. The FDA is continuing to see concerning activity when it comes to some compounded drugs, including problems related to the conditions under which compounded sterile medicines are made. As a result, the FDA continues intense focus in this area. The FDA will take enforcement actions against compounders who fail to produce sterile drugs in compliance with FDA regulations. A consent decree of permanent injunction was filed against a company and its owner. The consent decree prohibits the company and its owner from, among other things, manufacturing, holding, or distributing human or animal sterile drugs compounded at their facility until they comply with the Federal FD&C Act and FDA regulations. The complaint was filed by the U.S. Department of Justice on behalf of the FDA. Further information can be found on the FDA website. The FDA issued a final rule on the classification procedures for medical devices on 17th December, 2018 entitled “Medical Device Classification Procedures: Incorporating Food and Drug Administration Safety and Innovation Act Procedures”. The rule will be effective from March 18th, 2019. The purpose of this final rule is to incorporate the amendments by Food and Drug Administration Safety and Innovation Act (FDASIA) to the FD&C Act which governs the classification and reclassification of medical devices. Also, additional changes have been made by the FDA independent of the FDASIA in efforts to update its regulations governing classification and reclassification of medical devices. The rule will enhance consistency and uniformity across reclassification processes and will also help to reduce regulatory and economic burden. Summary of the major provisions of the final rule include the provisions for reclassification of devices and for requiring PMA applications for preamendments class III devices to change from a rulemaking proceeding to an administrative order process. Prior to publication of a final order reclassifying a device or requiring a PMA application for a preamendments class III device, FDA must publish a proposed order in the Federal Register, consider any comments submitted on the proposed order, and hold a device classification panel meeting. This final rule also clarifies the process where reclassification of a postamendments device or a transitional device is initiated by FDA, rather than in response to a petition. The final rule also removes the requirement for a hearing under part 16 (21 CFR part 16) for reclassifying transitional devices. In order to improve communications regarding corrective actions in response to inspectional observations with medical device companies, the FDA issued a draft guidance titled “Nonbinding Feedback After Certain FDA Inspections of Device Establishments”, a requirement under the FDA Reauthorization Act of 2017 (FDARA). The document was issued on February 19th, 2019. Earlier, companies could ask for a feedback on proposed corrective actions but there was no standardized process in place for provision of nonbinding feedback. The draft guidance proposes to standardize the process of communicating and submitting nonbinding feedback for companies on certain kinds of documented inspectional observations that are issued on a Form 483, during either premarket or postmarket inspections of device establishments. It also describes how the FDA evaluates and responds to such requests. The proposed guidance has outlined steps on the process of requesting a nonbinding feedback. These include timely submission of request, eligibility criteria, justification of request, proposed responsive actions and how the FDA will respond with a nonbinding feedback. More detailed description can be found here. Eosinophilic Esophagitis: Developing Drugs for Treatment Guidance for Industry Draft guidance document for sponsors who are developing drugs and therapeutic biologics for Eosinophilic Esophagitis (EoE) stating FDA’s current recommendations regarding clinical trials for EoE drugs. Planning for the Effects of High Absenteeism to Ensure Availability of Medically Necessary Drug Product This guidance is intended to encourage manufacturers of medically necessary drug products (MNPs) and any components of those products to develop contingency production plans to use during emergencies that result in high absenteeism at production facilities. CDER’s Program for the Recognition of Voluntary Consensus Standards Related to Pharmaceutical Quality This guidance describes a proposed program at FDA’s Center for Drug Evaluation and Research (CDER) to make public a comprehensive listing of informally recognized voluntary consensus standards related to pharmaceutical quality. CDER is issuing this draft guidance to obtain public comments on the proposed program. Competitive Generic Therapies This guidance provides a description of the process that applicants should follow to request designation of a drug as a CGT and the criteria for designating a drug as a CGT. This guidance also includes information on the actions FDA may take to expedite the development and review of ANDAs for drugs designated as CGTs. This guidance also provides information on how FDA implements the statutory provision for a 180-day exclusivity period for certain first approved applicants that submit ANDAs for CGTs. Smoking Cessation and Related Indications: Developing Nicotine Replacement Therapy Drug Products The purpose of this guidance is to assist sponsors in the clinical development of nicotine replacement therapy (NRT) drug products, including but not limited to those intended to help cigarette smokers stop smoking. This guidance reflects the FDA’s current recommendations regarding overall development programs to support NRT drug products for smoking cessation and related chronic indications. Rare Diseases: Common Issues in Drug Development Guidance for Industry Rev. 1 Draft guidance is to assist sponsors of drug and biological products for the treatment or prevention of rare diseases in conducting more efficient and successful drug development programs. Providing Regulatory Submissions in Electronic Format – Certain Human Pharmaceutical Product Applications and Related Submissions Using the eCTD Specifications The purpose of this document is to explain the procedures and criteria FDA intends to use in assessing whether a 510(k) submission meets a minimum threshold of acceptability and should be accepted for substantive review. Acceptance and Filing Reviews for Premarket Approval Applications (PMAs) The PMA regulation (21 CFR 814.42(e)) identifies the criteria that, if not met, may serve as a basis for refusing to file a PMA. This guidance is intended to be used by FDA staff and the device industry to help elucidate the broad preclinical and clinical issues that need to be addressed in a PMA and the key decisions to be made during the filing process. Evaluation of Devices Used with Regenerative Medicine Advanced Therapies This guidance provides manufacturers, applicants, and sponsors engaged in the development of regenerative medicine therapies, with FDA’s current thinking regarding evaluation of devices used in the recovery, isolation, or delivery of regenerative medicine advanced therapies. Refuse to Accept Policy for 510(k)s The purpose of this document is to explain the procedures and criteria FDA intends to use in assessing whether a 510(k) submission meets a minimum threshold of acceptability and should be accepted for substantive review. Coordinated Development of Antimicrobial Drugs and Antimicrobial Susceptibility Test Devices – Guidance for Industry and Food and Drug Administration Staff This guidance is intended to assist drug sponsors and device manufacturers who are planning to develop new antimicrobial drugs and antimicrobial susceptibility test (AST). Intent to Exempt Certain Unclassified, Class II, and Class I Reserved Medical Devices from Premarket Notification Requirements † This guidance describes the Food and Drug Administration’s (FDA) intent to exempt certain unclassified medical devices, certain Class II medical devices, and certain Class I medical devices that are subject to the reserved criteria of section 510(l) of the Federal Food, Drug, and Cosmetic Act (FD&C Act), 21 U.S.C. 360(l), from premarket notification requirements. Expedited Programs for Regenerative Medicine Therapies for Serious Conditions This guidance addresses regenerative medicine therapies which are defined in section 506(g)(8) of the FD&C Act as including cell therapies, therapeutic tissue engineering products, human cell and tissue products, and combination products using any such therapies or products, except for those regulated solely under section 361 of the Public Health Service Act (PHS Act) (42 U.S.C. 264) and Title 21 of the Code of Federal Regulations Part 1271 (21 CFR Part 1271). †The 21st Century Cures Act (Cures), signed into law on December 13, 2016, amended several sections of the Federal Food, Drug, and Cosmetic Act. This guidance was developed and issued prior to the enactment of Cures, and certain sections of this guidance may no longer be current as a result. FDA is assessing how to revise this guidance to represent our current thinking on this topic. For more information please contact DICE@fda.hhs.gov. Will FDA Suspend Your Food Facility Registration Based on Environmental Results? Insanitary conditions were observed during inspections in both 2017 and 2018. Following a 2017 inspection, an environmental sample tested positive for Listeria monocytogenes. Per FDA protocol, the whole genome sequencing data for the pathogen was uploaded to the Genome Trakr database. In 2017, Working Cow conducted a recall. According to FDA, Working Cow did not implement corrective actions after the 2017 findings and recall. In September 2018, the CDC informed the Florida Department of Health of a genetic match between the 2017 environmental Listeriaand a 2018 patient plus two patients in 2013. Working Cow has a Florida customer base that includes potentially immunocompromised adult consumers at nursing homes and assisted living facilities. A 2018 Listeria monocytogenes environmental isolate matched the 2017 environmental isolate, making the pathogen a potential resident strain. The pathogen was not isolated from the finished product. I understand the thinking that the pathogen from the environment could get into the ice cream and as a consultant I have seen the certainty of a problem break down when the details and specifics are thoroughly evaluated. Questions to ask as sites evaluate their pathogen control programs are: What is the proximity of the finding to the finished product? Is there a history of environmental sample results related to detection of pathogens? What is the laboratory’s positive control culture to ensure the reported results are correct? PulseNet was formed in 1996 enabling laboratories to use the genetic matching method of pulsed-field gel electrophoresis (PFGE). FDA started to transition from PFGE to whole genome sequencing (WGS) after investigating a 2012 Salmonella outbreak. Isolates have been added to the Genome Trakr database at an exponential rate, and laboratories have converted or are in the process of converting from PFGE to WGS. The analogy I use is calling twin babies “identical” where there may still be a few physical differences; identical twins are genetically identical and a “match.” Fraternal twins are not genetically identical and clearly not a match. When WGS is conducted on an environmental isolate and a patient isolate of a pathogen to see if they match, the data may show genetic differences. The scientific community has not agreed on how much of a difference can be measured and the isolates be labeled as genetically identical. WGS data lives forever in Genome Trakr, so it is conceivable and perhaps likely that environmental samples taken in your facility this week could be matched to a pathogen from six years ago, but without an isolate from your finished product! Even though the concept is mind-boggling, this is where enforcement currently lies in and CDC today. So to answer my question, Will FDA Suspend Your Food Facility Registration Based on Environmental Results?, based on recent history with FDA using the tool of WGS as the “Holy Grail” for proving microbiological contamination, the answer could be is “Yes.” When there is a match between an environmental pathogen with a finished product isolate or a patient isolate, FDA will be on your doorstep. Your work is to train employees, re-emphasize and enhance current Good Manufacturing Practices, build a strong and positive food safety culture, re-evaluate your current FDA-compliant food safety plan to ensure effectiveness, and keep records that prove your food safety and corrective action efforts are occurring daily. In conclusion, the food manufacturing and retail food industry need to prepare themselves for the increased use of all types of genetic screening of environmental and finished product isolates by not only FDA or CDC, but by state food safety regulators, third-party auditors and their customers. One way to prepare is to learn as much as possible about whole genome sequencing (WGS), identify private laboratories that conduct WGS and learn about their methodology and equipment. This will allow you to get out ahead of this new regulatory tool that has the potential of improving the safety of the US food supply but with potential damaging consequences in cases where matches are found. 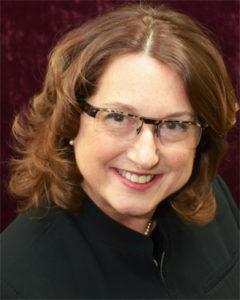 Dr. Janet Collins assists EAS clients with all matters of food regulatory compliance issues. Her expertise includes product development with an eye towards global agricultural advocacy, appreciation for diversity, and strong expertise in human health science, nutrition and food regulation, and systems for global food acceptance. Janet demonstrates strong global communications/advocacy and leadership with measurable and collaborative results. 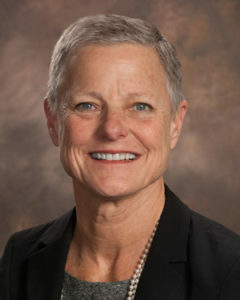 She recently retired from the position of Executive and Senior Vice President, Science and Regulatory Affairs at CropLife America and was the President of the Institute of Food Technologists from 2008-2015. Sophia Lily has over 25 years of experience in the regulated pharmaceutical, nutraceutical and food industry Quality Control, Quality Assurance. 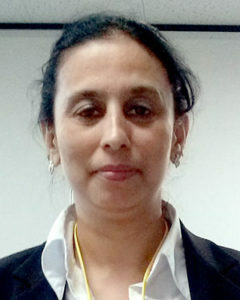 She is based in India and is experienced in handling inspections, validations, vendor audits and training. She routinely works with, including training, personnel in a range of GMP topics including Data Integrity. With expertise including GMP compliance, gap analysis and remediation and development of roadmaps to compliance, she has successfully implemented effective quality management systems for many companies both small and large. 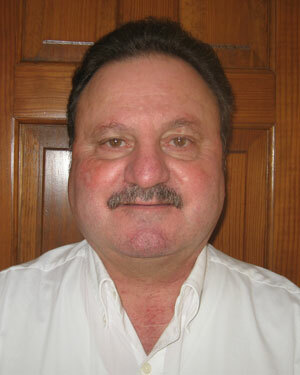 Jay Mansour is a seasoned Medical Device regulatory consultant with 20+ years of experience. He has successfully filed more than 100 510(k) clearances across many technologies and assists clients with QMS turnkey projects, including personnel training, and CE marking products as well as responding to FDA’s 483 and warning letters. He is an expert in Process Validations (software, sterilization and more). Jeffrey Roberts is an expert in software and systems auditing/validation including compliance with 21 CFR Part 11, 21 CFR Part 820 and ISO-13485. He writes Software Development Life Cycle (SDLC) documents including Validation Compliance Plan (VCP), Functional Requirements Specification (FRS), System Design Specification (SDS), Installation Qualification (IQ), Operational Qualification (OQ), Performance Qualification (PQ), Requirements Traceability Matrix (RTM) and Validation Summary Report (VSR). 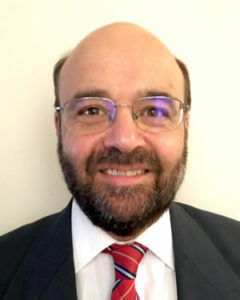 Dr. George Yanulis has consulted in Medical Device Product Development and Research for 20 years and has a Doctorate and Master’s Degree in Biomedical Engineering. He has conducted cardiovascular device research at the Cleveland Clinic Foundation on cardiac pacing paradigms used in heart failure patients. In addition, Dr. Yanulis has been involved in the R&D Medical Device Consulting & Litigation Support as an Expert Witness for over 10 years and has been involved in numerous medical device liability and patent infringement cases. He provides expertise to attorneys, medical device companies, health care systems and insurance carriers related to FDA medical device controls, PMAs, post-market surveillance issues, medical device/product failures and IP medical device issues. In addition, he has reviewed MDR(s) and other adverse events related to implant device failure. Dr. Yanulis is highly motivated in maintaining and providing the highest level of quality in the design, development and safe and effective use of all types of cardiac device implants. 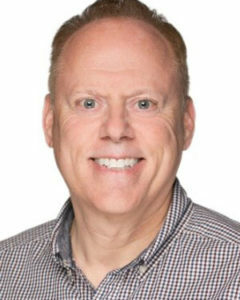 Independent Consultant, Mark Nelson, is an invited speaker for the upcoming Grocery Manufacturer’s Association’s Science Forum taking place March 26-27, 2019 in Washington, D.C. Mark will be speaking as part of a panel on Current Practices and Future Opportunities in Standards of Identity, March 27 at 2:45 pm. EAS Webinar: Dietary Supplements and FSMA, Fallacy or Fact? Since the passage of the Food Safety Modernization Act (FSMA) in 2011, dietary supplements are now subject to many aspects of the seven major regulations that were issued by FDA to support enforcement of FSMA. One of the most important of these regulations being 21 CFR 117, Current Good Manufacturing Practice (cGMP) and Hazard Analysis and Risk-Based Preventative Controls for Human Food (PCHF). Which aspects of FSMA’s Preventive Controls for Human Foods, 21 CFR 117, apply to dietary supplements? What about other FSMA responsibilities like FSVP? How does the dietary supplement industry including raw material manufacturers and suppliers, dietary supplement manufacturers, and dietary supplement brand owners avoid enforcement actions? Join EAS Consulting Group’s FSMA and Dietary Supplement experts Heather Fairman and Maury Bandurraga for an overview of the FSMA regulation and a deeper dive into those aspects which specifically apply to dietary supplements. Register now for our April 16, 2019 webinar at 1:00 pm Eastern. Product development is more than just labeling, it is a holistic approach from ideation through commercialization that strategically looks at the category in which the product is intended to be marketed and those regulatory requirements surrounding it. Are there claims being made which have legal definitions? Is the product competing against similar products but with a unique competitive advantage? Does the product contain a new ingredient for which a GRAS submission must be filed? Once the product idea is born, the strategic and often difficult decisions begin. EAS Consulting Group’s product development team works with companies to best position new and relaunched products in the marketplace. We can review your labels, claims and marketing materials for regulatory compliance, and assure the study design, results and dossiers demonstrate safety of the ingredients and packaging. In addition, we can also assist GMP and Food Safety Modernization Act compliance during production. If your company is thinking of a new product, product line extension or even repositioning an already existing product, contact EAS Consulting Group for a consultation about your project and how our product development capabilities can help you meet your business goals. EAS’ product development team consists of former attorneys, microbiologists and toxicologists, labeling and claims specialists and experts in packaging and food safety. For more information, contact Allen Sayler, Senior Director of Food Consulting Services at 571-447-5509 or asayler@easconsultinggroup.com. Kathy Knutson, Ph.D. is a microbiologist and certified lead instructor for Preventive Controls for Qualified Individuals through the Food Safety Preventive Controls Alliance. She consults with companies in meeting FSMA requirements, including manufacturers in the cannabis industry as she educates on issues surrounding cannabis infused food products for sale in states with medical and recreational use legislation. Kathy has a Ph.D. in Food Science from the University of Minnesota and prior to consulting worked as a Food Safety Educator and Proficiency Program Coordinator with the Northland Laboratories. EAS’ recent webinar presented by Independent Consultant Steve Cammarn on how to develop VMS products for commercial and compliance success is now available on-demand. We invite you to view this as well as all of our on-demand webinars on the EAS website. EAS Independent Advisor for Import Operations, Domenic Veneziano and EAS Independent Advisor for FSMA, Charles Breen are collaborating for a complimentary EAS webinar discussing the requirements of a Qualified Individual per FDA requirements. Join us on April 3, 2019, at 1 pm Eastern to learn about this important provision for food importers under the Foreign Supplier Verification Program (FSVP) Final Rule. Part 1 Subpart L, Section §1.503 requires that importers of human and animal food enlist a QI who has responsibility for developing a program and performing each activity to ensure the products they are importing are not adulterated or misbranded and have been produced in accordance with the preventive control regulations for human or animal food or the Produce Safety Rule. FDA has specific expectations of the QI. Does your company meet the mark? Join us for our webinar and learn more about FSVP and EAS services as a QI through this explainer video. Thomas Dunn has authored an article for Natural Products Insider on sustainable packaging for natural foods. Packaging for natural food products must protect food quality and safety while also connoting clean labels and sustainability, he says. EAS Independent Consultants David Blomquist and Jenifer Kane will present a one-day seminar at the upcoming SNAC International Annual Conference, SNAXPO, March 31-April 2, 2019 in Orlando, FL. The training which takes place on March 31 will provide practical information, “real-world” examples and tips on how to enhance daily operational practices related to improving existing food safety and quality programs for the snack food industry. Focusing on criteria for selecting, installing and maintaining processing equipment and utensils, how to effectively clean processing equipment and more. Participants will gain an appreciation of compliance requirements of the applicable FSMA regulations. EAS Independent Consultant April Kates was interviewed for a recently published article on Food Labeling published in Supermarket Perimeter. EAS is very pleased to have such a strong team of labeling consultants who are often called upon for sharing their expertise. Learn the steps to NIFNs as well as the pitfalls and challenges companies face in leading up to the assembling of an Infant Formula dossier. EAS Consulting Group’s experts will walk you through challenges and pitfalls which delay or prevent final FDA approval of this most important nutrient for growing infants. Join Robert Martin, Ph.D., Robert Burns, Ph.D., and Timothy Morck, Ph.D. on April 2, 2019, at 1 pm Eastern for a technical overview of one of FDA’s most challenging applications. Register today and learn more about EAS services in infant formulas in this explainer video. New EAS Webinar Announced – What Does the Farm Bill Mean for the Cannabis Industry? Join EAS Senior Tara Lin Couch, Ph.D., and special guest, Marc Ullman with Rivkin Radler, LLP on March 13, 2019, at 1 pm Eastern for a dynamic discussion on what the Farm Bill really means for the cannabis industry. What is FDA’s position on cannabis and how are the states managing the patchwork of federal regulations that make this burgeoning industry so confusing? In those cases where companies are legally producing cannabis products, what steps should be taken to implement and improve upon sound quality systems? Register here and learn more about EAS quality systems services for the cannabis industry here. You may also wish to view our CBD and Hemp Regulatory Fact Sheet here. EAS is offering our popular Food and Dietary Supplement Labeling Seminars in Philadelphia March 12-13 and March 14-15, 2019 respectively. Join independent consultants and labeling experts Gisela Leon and Jim Hoadley, Ph.D. for an in-depth look at the various requirements surrounding the development of Nutrition and Supplement Facts Panels, including FDA’s latest requirements. Join EAS for either the Food Labeling Seminar or Dietary Supplement Labeling Seminar, or both! Group discounts for two or more employees are available. EAS Independent Consultant, Norma Skolnik and Advisor for OTC Drugs and Labeling, Susan Crane, has​ co-written an article on the OTC Drug Safety, Innovation, and Reform Act. Recently published in Solid Dose Digest, the article includes a proposed review and overhaul of the OTC Monograph process, eliminating inefficiencies and allows for better response times to safety concerns. Learn more in Solid Dose Digest and join Susan in Part 2 of her Five-part webinar series on OTC Monographs. Part 1 – an Overview of the OTC Monograph system, is available On-Demand now. Part 2 on OTC Labeling and Listing Requirements takes place on February 27, 2019. The submission stage of a New Infant Formula Notification may seem like the beginning of the end of a years-long process of research and strategic development. But, without all the right documentation in place, this last step prior to product launch can be unnecessarily delayed for those companies not well-prepared for the rigors of FDA review and assessment. Learn the steps to NIFNs as well as the pitfalls and challenges companies face in leading up to the assembling of an Infant Formula dossier. EAS Consulting Group’s experts, scientists, and leaders in their fields at FDA and industry will walk you through challenges and pitfalls which delay or prevent final FDA approval of this most important nutrient for growing infants. Join Robert Martin, Ph.D., Robert Burns, Ph.D. and Timothy Morck, Ph.D. for an informative and technical overview of one of FDA’s most challenging applications on April 2, 2019, at 1:00 pm eastern. Reserve your seat today! What Does the 2018 Farm Bill Say About Sugar, Honey, and Agave? Each month EAS Independent Consultants answer one question sent in by our readers. 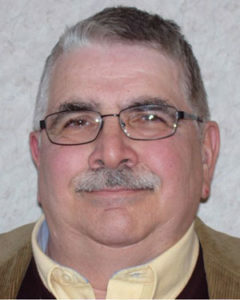 This month’s question is answered by James Hoadley, Ph.D., an expert in food and supplement labeling and content claims and long-time instructor for our popular Food and Dietary Supplement Labeling Compliance Seminar. Prior to consulting Jim was the Senior Regulatory Scientist, Nutrition at FDA’s CFSAN Office of Nutritional Products, Labeling and Dietary Supplements. If you’d like to ask a question of our experts, contact us here. To learn more information on our Food and Dietary Supplement Labeling Seminars please visit our webpage. Question: I am a smaller company that produces maple syrup and honey sold in jars. Does the 2018 Farm Bill mean I no longer have to comply with the 2016 FDA Nutrition Facts requirements for these two single-source products? Hoadley: One of the NUTRITION FACTS changes introduced in the FDA’s 2016 revisions to nutrition labeling regulations was a new line in the Nutrition Facts for Includes __ g added sugar. When a food contains sugars, but not added sugars, then the “Includes X g added sugars” line may be omitted from the Nutrition Facts and replaced by a “Not a significant source of added sugars” footnote. The term added sugar includes both sugars that are added during the processing of foods, and sugars packaged as such; e.g., a bag of sugar or a bottle of honey would need to declare its entire sugar content as added sugar. Including the single ingredient sources of sugar as added sugar was unpopular and confusing. FDA’s rationale was that when you purchase a bag of sugar, you are going to use it to add to food, so its use is as added sugar. In the past year FDA attempted to make the added sugar declaration more palatable for producers of products like honey and maple syrup by allowing for an enforcement discretion option of footnoting the added sugars declaration with a statement such as “†All these sugars are naturally occurring in honey.” The footnote option was not enough to sugar-coat the “Includes X g added sugars” requirement in some segments of the food industry. Though your product no longer has to declare added sugar, it still needs to comply with all other requirements for Nutrition Facts. 2018 Farm Bill. SEC. 12516. LABELING EXEMPTION FOR SINGLE INGREDIENT FOODS AND PRODUCTS. The food labeling requirements under section 403(q) of the Federal Food, Drug, and Cosmetic Act (21 U.S.C. 343(q)) shall not require that the nutrition facts label of any single-ingredient sugar, honey, agave, or syrup, including maple syrup, that is packaged and offered for sale as a single-ingredient food bear the declaration “Includes X g Added Sugars.”. Congress joined in the party by placing an ‘added sugars’ section in the miscellaneous provisions of the 2018 Farm Bill. The 2018 Farm Bill has decreed that FDA shall not require any single-ingredient sugar, honey, agave, or syrup product to bear the “Includes X g added sugars” declaration in its Nutrition Facts. The Farm Bill is an omnibus bill that directs agriculture and nutrition policies; it gets renewed at 5-year intervals. The 2018 Farm Bill covers the years 2019-2023. Provisions of the 2018 Farm Bill go into effect January 1, 2019. EAS independent consultant, Steve Cammarn, is presenting a webinar on considerations for Developing Vitamin, Mineral and Supplement Products for Commercial and Compliance Success. Join EAS February 7, 2019, at 1 pm Eastern where Dr. Cammarn will share principles and techniques for a phased-approach of the development of vitamin, mineral, and supplements products incorporating product design, process development, supply chain establishment, and qualification. Dr. Cammarn weaves together the scientific principles as well as the overarching regulatory requirements that must be met for commercial and compliance success. Join us! Independent Consultant Thomas Dunn discusses packaging trends in an article for Natural Products Insider. Packaging is an important component of overall product design as it protects, preserves, escorts and describes the products consumed. As consumers demand more sustainable packaging, companies are working hard to meet that demand with innovative and cost-effective products. Welcome to the February 2019 edition of EAS-e-News, the free news publication dedicated to FDA regulated industries. I’d like to begin by bringing your attention to our many new educational opportunities. From our many complimentary webinars to regulatory compliance seminars EAS brings the best in regulatory education to you through our extensive network of independent experts. In this issue, you’ll find numerous opportunities to learn in real time in addition to our wealth of on-demand webinars available for viewing at your convenience. On that note, two recent additions to our complimentary webinar offerings include one on the requirements for Qualified Individuals, hosted by Independent Advisors Domenic Veneziano and Charles Breen, and regulatory challenges and opportunities for companies preparing New Infant Formula Notifications, presented by EAS Independent Advisor Robert Martin, Ph.D., and Independent Consultants Robert Burns, Ph.D. and Timothy Morck, Ph.D.. More information can be found in the EAS in Action section of this issue. Our Issue of the Month is written by Independent Advisor for FSMA, Charles Breen, and discusses two very similar sounding terms, Qualified Individual and Preventive Controls Qualified Individual, which have two very different meanings. Our Ask the Expert is written by James Hoadley, Ph.D. and discusses the provision in the recently signed Farm Bill which covers “added sugars” and when the “includes X g added sugars” can be omitted from a label. Also in this issue, we introduce a new section called “Did you Know?” which will provide a brief spotlight of concern to FDA regulatory industries. This month we discuss Slack Fill. Did you know this is a growing area of litigation for food manufacturers? The many regulations surrounding slack fill are confusing at best and EAS is here to help if this issue is one that your firm faces. Further, EAS has just released our newest Video Short, on cannabis quality issues and how EAS Consulting Group can help companies navigate as the industry pushes for for developing sound Good Manufacturing Practices. Lastly, we are so pleased that there is at least a temporary solution to reopen the federal government after the longest shutdown in our nation’s history and we hope for a lasting resolution that enables both sides of the aisle to find common ground. The shut down has had numerous negative impacts, including severely curtailing operations at FDA and USDA, are we are thankful, at least for the moment, that our federal employees are able to get back to the business at hand by serving the public. Thank you as always for your interest in EAS and EASeNews. You are one of the 16,000 who receive our newsletter and we take great pride in bringing you relevant content and compliance solutions. Please let me know if you have any questions on this issue or other areas of FDA compliance. 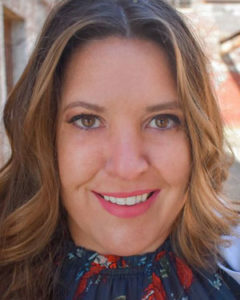 EAS Senior Director for Dietary Supplement Consulting Services, Tara Lin Couch, Ph.D. will instruct the next EAS seminar on Good Manufacturing Practices for Dietary Supplement Laboratories April 23, 2019 in Denver, CO. This one-day intensive program will discuss FDA’s current GMP requirements for Research and Development and Quality Control of Laboratories including physical, analytical, and microbiological laboratories. Topics include analyst training and qualification; the labs’ physical facility and environment; instrument qualification, calibration and maintenance programs and more. 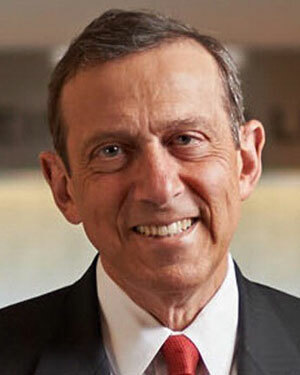 Ron Levine has 40 years of experience advising consumer products companies in complex commercial matters. In addition to providing consulting services for EAS, he serves as the General Counsel of Herrick, Feinstein LLP, a law firm with offices in New York and Newark, NJ. 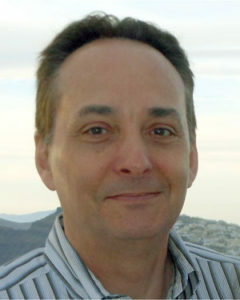 He has practiced with Herrick since 1984, where he was a partner from 1985-2018. 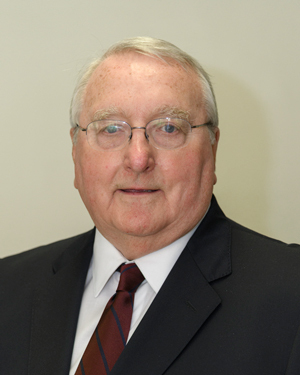 He served as Chair of the firm’s Litigation Department for 15 years. A pragmatic advisor who helps clients anticipate, minimize and resolve the financial and reputational damage arising from claims and potential claims, Ron specializes in crisis management, for food and beverage manufacturers, and advises on class action litigations and investigations, including serving as an expert witness, related to labeling, the Food Safety Modernization Act (FSMA), advertising claims, product recalls, FDA regulations and other concerns. The EAS Expert Witness team is greatly enhanced with the addition of Ron. By strategically matching the regulatory purview of the case at hand with our former high-level FDA and industry executives, EAS offers in-depth analysis of FDA and other Federal and state laws as well as standard industry best practices. Ron, along with Steve Armstrong, EAS Independent Advisor for Food Law and Regulation and former Chief Counsel for Campbell Soup Company and Bruce Silverglade, an EAS Independent Consultant and a Principal with the law firm Olsson Frank and Weeda Terman Matz, PC, lead the EAS Expert Witness team of consultants providing detailed and critical services to firms in all FDA commodity areas. There has been an increasingly growing volume of litigation in the slack fill area. This is a daunting issue for food manufacturers and is complicated by a dearth of clear guidance which ultimately leads to a lack of understanding of the many competing requirements and increases a company’s risk for legal challenges. In fact, there are at least five levels of law where one should look for guidance with slack fill, including international, federal, state, local and common law. Answers on how to interpret and piece the various laws and rulings together is not found on the FDA website, and moreover, it is very difficult to predict how a consumer attorney will interpret them as they attempt to bring suits against the industry. If you are one of the many who have questions concerning how to find, understand, interpret and implement policies and practices regarding slack fill, call EAS’ team of experts who can assist in navigating this very complicated and confusing issue. Senior Director for Dietary Supplement and Tobacco Services, Tara Lin Couch, Ph.D. was interviewed for an article in Natural Products Insider on Own Label Distributors and challenges of industry to establish product specifications. According to FDA data, in fiscal year 2018, about 24 percent of the FDA Form 483 inspection reports cited firms for failing to establish specifications of finished dietary supplements. This issue is clearly a challenge for the industry and one in which OLDs should be well-versed and ensure compliance. Independent Consultant Mehrdad Tajkarimi has published part two of his three-part series in Food Safety Magazine on designing food safety training programs to meet FSMA compliance expectations. Food safety training is critical, not only in meeting FDA requirements, but in protecting consumers and the safety of our food supply. Whether training is designed and hosted in-house or delivered through expert training sources such as EAS, it is important that the content and delivery meet the audience where they are and deliver the information in an easily digestible format. EAS has announced a new date for our Riverside, CA GMP One-Day Refresher Training. This California training, now hosted on May 14, 2019, and its sister one-day Refresher trainings in Texas, Massachusetts and New York, are designed to meet the annual requirements many companies have that enable employees to stay current in GMP requirements. EAS is hosting four GMP Refresher trainings around the country in 2019. Please join us and consider outsourcing your company’s Refresher compliance trainings to EAS! FDA-2018-D-1387. For questions about this document regarding CDRH-regulated devices, contact the 510(k) Staff at 301-796-5640. For questions about this document regarding CBER-regulated devices, contact the Office of Communication, Outreach, and Development (OCOD) at 1-800-835-4709 or 240-402-8010. FDA’s CDRH recently released a Safety and Performance-Based Pathway Guidance Document describing a new abbreviated submission process for 510(k)s which aims to simplify submissions for devices which meet performance standards developed by FDA rather than showing outright equivalence in safety/efficacy to the predicate device. This new pathway has the potential for reducing the administrative burden of building a lengthy clearance dossier as well as be a slightly faster way to gain review and clearance. More information will be forthcoming as FDA issues future guidance on the application of this Safety and Performance-Based Pathway to certain types of devices with corresponding FDA-identified performance criteria. Industry may suggest device types for which FDA should consider identifying performance criteria. EAS published a blog on the International Society of Pharmaceutical Engineers’ iSpeak blog on how GMPs and data integrity align for safer products and swifter approvals. FDA has noted that in recent years, findings from pharma facility inspections show increasing challenges with meeting data integrity requirements, which has led to regulatory actions including warning letters, import alerts, and consent decrees. Qualified Individual and Preventive Controls Qualified Individual – What’s the Difference? The Food Safety Modernization Act (FSMA) Preventive Control for Human Foods (PCHF) regulation (21 CFR 117) signed into law in 2011 offers a wealth of opportunity (and a requirement) for companies to improve their food safety procedures and protocols through the implementation of a preventive strategy against foodborne risks. As part of this regulation, food manufacturers must require that employees are qualified to perform their assigned tasks in a manner that protects food safety and prevents against adulteration. In addition, each company must have at least one employee, preferably located at the food manufacturing facility, who functions as a Preventive Controls Qualified Individual (PCQI). The PCQI functions as the responsible party overseeing the development and execution of all food safety programs and must have the knowledge, skills and abilities to perform these tasks based on their education, on the job experience or a combination. Also, as part of FSMA, the Foreign Supplier Verification Program (FSVP) Final Rule for importers of human and animal food requires in Part 1 Subpart L that food manufacturers enlist a “Qualified Individual” who has responsibility for ensuring that all foreign suppliers of foods or food ingredients imported for consumption or further manufacturing in the U.S. produce their products in a manner consistent with FSMA requirements. This FSVP Qualified Individual (QI) must also have the knowledge, skills and abilities (KSAs) appropriate to evaluate foreign supplier compliance through their education OTJ experience or a combination of both. The FSMA PCHF regulation calls for a PCQI while the FSVP regulation calls for a QI. Though the terms are nearly the same and the regulations are related, they have different meanings. What exactly is the difference, in FDA’s view, of a PCQI and a QI, and how can companies determine that they are meeting FDA’s intent? PCHF’s big focus is on preventive controls for all food manufacturing facilities producing foods or food ingredients that will be consumed in the US. FDA requires that risk be assessed and mitigated so the risk no longer has public health significance, and that specific controls or mitigations steps be evaluated for effectiveness by a PCQI. A new term in the PCHF Final Rule, the requirement for a PCQI applies to covered domestic and foreign facilities producing human and animal food, generally those that need to register under section 415 of the Federal Food, Drug, and Cosmetic Act (FD&C Act), (though there are, as expected, some exemptions). Though one PCQI can develop food safety plans for multiple facilities, it is important to note that each plan must be specific to the facility and address the unique processes and hazards within. As a PCQI, considerations for biological, chemical and physical hazards must be thoroughly understood and assessed. Biological hazards include parasites and disease-causing bacteria; chemical hazards include radiological exposure, pesticides, drug residues, natural toxins, food decomposition, unapproved additives and food allergens; and physical hazards include items such as glass, rocks, metal parts or other foreign objects. FSMA requires that a food safety plan that specifically controls each of them must be developed by the PCQI. FDA accepts that either training or education (or a combination thereof) can provide the knowledge and skills required to perform PCQI duties as long as they equal a standardized curriculum recognized as adequate by FDA, such as that designed by the Food Safety and Preventive Controls Alliance (FSPCA) and instructed by FSPCA “Lead Instructors”. EAS offers the FDA-recognized FSPCA PCQI training curriculum, taught by Lead Instructors, as part of our comprehensive suite of in-house seminars and workshops. Many who have already received training in HACCP, SQF, , BRC, IFS or FSSC22000 may still need additional training due to additional requirements for Good Manufacturing Practices requirements and Preventive Controls specified under PCHF in Part 117. FDA does not require, but it does recognize a formal FSPCA certificate verifying competency in Preventive Controls, for participants who successfully complete FSPCA PCQI workshop. Companies importing finished food and food ingredients for further processing into the U.S. must have an FSVP QI to develop their FSVP food safety assessment program. An FSVP QI may be employed by the FSVP “Importer” or the Importer can contract with a private individual or consulting company like EAS Consulting Group to perform the FSVP QI responsibilities. A FSVP QI must evaluate the overall food safety risk of a food or food ingredient provided by a foreign supplier utilizing various documents originating from the foreign supplier and determine whether the foods or food ingredients meet FDA’s strict food safety requirements found in the PCHF and FSVP regulations. Much like PCHF’s PCQI, the FSVP QI will use the foreign supplier’s documents and the nature of the imported food or food ingredient to assess whether adequate controls are in place for potential biological, chemical and physical hazards. In addition, the FSVP QI will assess food safety risk by looking at whether their foreign supplier has been the subject of an FDA warning letter or import alert, their food safety performance history, results from testing, private or government audit results, and the supplier’s record of correcting problems. Once the QI has determined that a foreign supplier’s risks have appropriate controls, they will continue to monitor their performance by conducting appropriate supplier verification activities including some combination of onsite audits, reviewing supplier relevant food safety activities and sampling and testing of a food. By regulation, these evaluation activities must be performed no less than every three years, or sooner if the FSVP importer becomes aware of new information concerning food safety or the foreign supplier’s performance. It is our recommendation that these evaluation activities be updated annually as the food manufacturing environment is constantly changing and performing food safety risk assessments of a foreign manufacturer once every three (3) years may result in a significant food safety issue being allowed to continue for too long. In addition to a QI’s assessment duties for a food importer, the FSVP Importer must also make sure their US Customs Broker identifies them for each incoming food or food ingredient shipment on the US Customs and Border Protection “ACE” electronic database as the FSVP Importer. The information must include the FSVP importer’s name, mailing address, and a unique facility identifier (UFI) recognized as acceptable to FDA. At present, FDA recognizes only DUNS numbers as an acceptable UFI. Everyone with a role in importing foreign sourced foods should be familiar with applicable FSVP requirements including US Customs Brokers,foreign exporters, foreign food manufacturers, and US importers. This comprehensive approach is required under FSMA’s PCHF and FSVP regulations, intended to improve the nation’s level of protect food safety protection. FSPCA has developed an FDA-recognized FSVP training curriculum and EAS offers this in a workshop format in addition that of FSPCA’s Preventive Controls training curriculum. The microscope under which food safety assessments are evaluated has never been as detailed and is being scrutinized by FDA as now. With the possibility for potentially damaging regulatory enforcement consequences, many firms need to review, upgrade and have an outside, objective assessment of their food safety plans, whether they are domestic food manufacturers that have to comply with FSMA’s PCHF regulation or foreign food manufacturers that have to comply with both FSMA’s PCHF and FSVP regulations. An objective outside compliance assessment of a food manufacturer’s food safety plan needs to evaluate both the written plan and the effectiveness of its implementation. Third parties, such as EAS, can perform this objective outside assessment using a team approach to bring the correct level of expertise for development of an in-depth understanding of food manufacturer’s existing food safety system. The use of outside objective and qualified third-party private organizations such as EAS to evaluate and test the food manufacturer’s food safety program is part of any food manufacturer’s due diligence effort and can also offer a greater peace of mind to senior management of the facility and company owning the food manufacturing facility. Murphy’s Law says that if something can go wrong, it will. With a detailed food safety strategy in place, those risks can be identified and minimized before they become a problem. FSVP – What Does it Mean for your Business? – Presented by Charles Breen and Susan Moyers, Ph.D.
FSVP – What Does it Mean for your Business? – Presented in Spanish, Gustavo Gonzales, Ph.D. The December American Herbal Products Association (AHPA) Report (subscription required) included an EAS authored article on steps to develop fully compliant Standard Operating Procedures. Though the development and detail of each SOP is at the discretion of individual companies, they should provide a thorough manual that enables each employee to understand their roles and responsibilities and how to perform and document them with regard to the cGMPs. As current practices evolve, so too should SOPs as they are designed to be living documents, representing best practices and required procedures. EAS authored an article in MedTech Intelligence on FDA’s efforts at encouraging innovation while keeping a close eye on safety as part of a medical device regulatory overhaul. FDA is working to retire outdated predicates for 510(k) submissions as well as improve their post-market surveillance system through a multi-collaborative effort called National Evaluation System for Health Technology (NEST). Senior Director for Dietary Supplement and Tobacco Services, Tara Lin Couch, Ph.D. participated in a discussion with other industry leaders on best practices for contract laboratories in a recent Natural Products Insider. Contract labs are often enlisted to certify that products are fully and validly tested, and the relationship with these labs can sometimes be complicated by a lack of provided material and product matrix information to ensure that appropriate, scientifically valid test methodologies are used. Couch and her industry colleagues share thoughts on how to convey expectations and develop agreements. Join EAS Independent Advisor for OTC Drugs and Labeling, Susan Crane, as she explores the history of OTC Monographs and how OTC drug companies can expect updates to the Monograph system to impact their labels in a webinar series starting January 16, 2019. Part one will discuss the history of OTC monographs and why reforms are necessary. Part two is February 27, 2019 and will discuss understanding the FDA and FTC Labeling and Claim Requirements for Cosmetic and Homeopathic products in the OTC market. The final sessions, with dates to be announced will discuss what makes a drug an OTC and the Monographs Compliance System; and GMP obligations – understanding how the GMPs are Applied and how to prepare for FDA Inspection. Reserve your seat today! Q: FDA’s recent announcement delisting seven synthetic flavors caused a flurry of conversation and some confusion within the flavor and extract world. Would you clarify? Armstrong: Thank you for the question and the opportunity to clear up confusion on FDA’s October 8, 2018 Constituent Update on the removal or delisting of seven synthetic flavors from the list of approved food additives. FDA was clearly reluctant to take this action, but it did so because several activist groups had petitioned for the delisting and then went to court to force FDA to take the action. FDA made clear in its announcement in the Federal Register that it was only de-listing the synthetic form of these substances, which are labeled as “artificial flavors.” This means that a flavor manufacturer need only remove these synthetic substances from its flavor portfolio. These include synthetically-derived benzophenone, ethyl acrylate, eugenyl methyl ether (methyl eugenol), myrcene, pulegone, and pyridine. In addition, the FDA also is amending the food additive regulations to no longer provide for benzophenone’s use as a plasticizer in rubber articles intended for repeated use in contact with food. According to the Federal Register notice and the communication on FDA’s website, companies may continue to use the seven flavors provided they are only made from the natural extracts and are labeled as “natural flavors.” Companies using these synthetic flavors have 24 months from the publication of the rule in the Federal Register to identify suitable replacement ingredients and reformulate their food products. This is an unusual situation and one precipitated by the Delaney Clause, an antiquated section of the Food, Drug, and Cosmetic Act. That section of the law prohibits FDA from approving a food additive if, after appropriate testing, it is found that the additive induces cancer in humans or animals. The clause is absolute. It does not provide FDA any leeway for applying a scientific risk assessment, even in situations where, as in the present case, the usage levels of an additive are low and inherently self-limiting, meaning exposures well below any area where they could possibly present any cancer risk. However, the petitioners had submitted data showing high levels of these synthetic substances did induce cancer in lab animals. So, even though FDA had no concerns about either the synthetic or natural versions of these seven flavors, which had been used for decades, with no concerns about their safety as presently used in foods, the Delaney Clause required that the agency, as a legal matter, take the action requested by the petitioners. Six of the seven were delisted in response to these citizen petitions; the seventh (Styrene) was delisted because it is no longer in use. The agency clearly did not like having to take his step, but the Delaney Clause gave it no choice. The decision to de-list, it said, was required as a legal matter, not a scientific one. It’s possible that this action may signal an effort by the flavor and extract industry to modify the Delaney Clause. FSMA’s Final Rule on Produce Safety, Standards for the Growing, Harvesting, Packing, and Holding of Produce for Human Consumption, and FDA’s helpful Small Entity Compliance Guide concerning determination of business size (based on annual monetary value of the food farms sell directly to qualified end users) are two important resources for farms growing and harvesting produce for consumption without further processing. Recent foodborne illness outbreaks from romaine lettuce illustrate why it is prudent to take a fresh look at some specific areas where the introduction and harboring of pathogens can wreak havoc and cause devastating public health and economic consequences. FDA’s recently announced that the list of possible growing areas identified as the source of the E. coli outbreak in romaine lettuce has been narrowed to three California counties, and one farm in particular. However, FDA concedes that this does not explain all of the illnesses. As of December 13, 2018, traceback information from five restaurants in four states have identified 11 different distributors, nine different growers, and eight different farms as potential sources of the contaminated lettuce, so it is likely that the outbreak cannot be explained by a single farm, grower, harvester, or distributor. FDA continues to investigate. It’s also not only E. coli causing produce industry woes. Listeria monocytogenes prompted recent recalls of pre-packaged salad products and asparagus, as did a summer outbreak of Cyclospora in melons and lettuce. Why are these events continuing to happen? FSMA’s many requirements were designed to prevent just such occurrences. Are growers not complying with the regulations because they are too difficult to understand, or too difficult to follow? Or are these outbreaks examples of Murphy’s law, that no matter the risk mitigation strategy, if something can go wrong, it will? The answer, in my view, is yes to all three – and I’ll add that sometimes downstream consequences are not fully understood until it is too late. Take for instance, this past summer’s E. coli outbreak in romaine lettuce. The fact that after so many months FDA still cannot pinpoint the exact source of the outbreak suggests these companies and areas under investigation appear (at least on the surface) to be largely in compliance. As of this writing, Whole Genome Sequencing testing has identified only one result where an agricultural water reservoir sediment contains the same E. coli O157:H7 strand implicated in the outbreak. However, the agency says it isn’t clear how the water became contaminated and that additional illnesses demonstrate that this reservoir cannot be the only cause of such a widespread outbreak. As compliance dates for various sized produce and sprout farms arrive, FDA will continue to transition from an educational to a regulatory approach for FSMA and supplier enforcement. Prudent companies will take a step back and review their supplier, manufacturing, agricultural and transportation protocols to ensure that all conceivable entry points for microbiological, chemical and physical hazards are controlled, and, when problems do occur, quickly testing entry points to identify and reduce impacts. Just because something hasn’t yet happened at your facility doesn’t mean it won’t, and don’t assume that just because something happens at one of your suppliers or distributors, that your company won’t see negative repercussions. Food safety is everyone’s business. EAS stands ready to help you with all aspects of FSMA compliance. Contact us or more information end-users and we invite you to view our many industry information sheets to learn more about our services with regards to foods, FSMA and other FDA requirements for all product areas. Paula Trumbo works with clients on food and dietary supplement labeling, claims, and other nutrition related issues for compliance with FDA regulations. Prior to consulting, she led FDA’s Nutrition Science Review Team responsible for the pre-market review of the scientific evidence for food labeling, including health claims, meeting the definition of dietary fiber, and amendments to the Nutrition and Supplement Fact label. She was the US delegate to the Codex Committee on Nutrition and Foods for Special Dietary Uses. Prior to joining the FDA, Dr. Trumbo served as Study Director for a number of study panels at the Institute of Medicine’s Food and Nutrition Board and was Associate Professor of nutrition at Purdue University. Dr. Trumbo has a PhD in biochemistry with minor in nutrition. The recently signed Farm Bill answers a number of questions, particularly for those manufacturers of single ingredient foods, jars of honey and maple syrup specifically, who objected to the requirement in FDA’s 2016 Final Rule of adding a declaration of daily value (DV) for added sugars as misleading. Single ingredient products no longer require an added sugar declaration on the label. FDA released a technical amendment correcting or further explaining minor errors and omissions in the May 27, 2016, Final Rules for Food Labeling: Revisions of the Nutrition and Supplement Facts Labels and Food Labeling: Serving Sizes of Foods that Can Reasonably be Consumed at One-Eating Occasion. These latest technical corrections are considered administerial in nature. Should you have any questions on these or other labeling issues please contact us for assistance. Tamika Cathey consults with an international client base on regulations pertaining to safety and quality of pharmaceuticals and dietary supplements. She evaluates client compliance readiness by conducting audits, risk assessments and mock FDA/GMP investigations and works to design improvement programs based on findings. Tamika has a B.S. in Biology from Greensboro College in North Carolina. Prior to consulting she held positions such as Associate Director, Regulatory Affairs for Charles River Laboratories, and Consumer Safety Officer at FDA’s Atlanta District. She is a certified auditor with the Natural Products Association and holdsFDA Level II certifications for the Clinical Bioresearch Monitoring Auditor and Drug Auditor Program. Specifications Development, as defined in FDA’s Good Manufacturing Practices for dietary supplements (21 CFR §111) have posed one of the biggest challenges to industry since the inception of the requirements in June 2007. Specifically, 21 CFR §111.70 requires manufacturers to develop specifications for each component used in the manufacturing process and the finish product, including raw material components, in-process controls, packaging/labeling materials, and finished products. To be compliant with 21 CFR §111, each specification must ensure the quality of the material or product by addressing its identity, purity, strength or concentration, physical composition and lack of potential contaminants or ensuring that potential contaminants are present at acceptably safe levels. However, manufacturers continue to struggle with understanding specifications development and compliance. This is evidenced by the many Warning Letters and Form 483s issued by the FDA in the past ten years. Certainly, the intent of specification requirements is well understood, at least conceptually by industry. The main purpose for requiring adequate specifications is to prevent product(s) adulteration and ensure that the finish product meets at least 100% of all nutrient claims declared on the Supplement Fact Panel (SFP) throughout its best by date or expiration date per 21 CFR §101.9 under the Nutritional Labeling and Education Act (NLEA). Once a specification is set, the specification must be verified using scientifically sound and justified testing analysis and/or visual examination analysis such as organoleptic, macroscopic, microscopic, chemical, or microbial. Recognized test methods can be obtained from compendial sources like USP monographs, AOAC, FCC, or NF and used a starting point in determining an appropriate method. Multiple tests and examinations are usually deployed to ensure specifications are met per 21 CFR §111.75 and 21 CFR §111.320. All of this ensures consistent reproducibility and reliability of a finished product that is either being manufactured or packaged. A lack of or incomplete identity component specifications (e.g. dietary ingredients, excipients or process aids, coating materials etc.) for each component per 21 CFR §111.70(b)(1) and 21 CFR §111.70(b)(2). Lack of or incomplete specification(s) for in-process controls in manufacturing process per 21 CFR §111.70(a). Lack of or incomplete product specifications for finish products per 21 CFR §111.70(e) to include package/labeled products (e.g. 21 CFR §111.70 (d) & (f) & (g)). Briefly, specifications are a set of defined parameters benchmarked against associated acceptance criteria providing characteristics and quality of a finish dietary supplement. The expectation is that when specifications are established, they will be written, managed in a controlled system with revision histories that are tracked, monitored, reviewed and approved by the Quality Department. This means materials and products being used from other sources will be unequivocally identified, the microbiological purity and other purity requirements will be assessed to determine strength and concentration of a dietary ingredient. The physical composition will be evaluated, and any potential contaminants will be identified. When developing specifications, it is a good idea to begin as early as possible by identifying critical quality attributes of finish product(s) and the manufacturing process as a whole. These quality attributes are to be identified with acceptable ranges determined in order to assess the attribute. Scientifically sound/valid test methods and examinations are tools used to conduct the assessment. Each specification developed should address sections of identity, purity, strength, composition, and contaminants to meet regulatory requirements outlined in 21 CFR §111. Dietary supplement manufacturers must consider component specifications, including dietary ingredients, as defined in 201(ff) of the FD&C Act and label claimed on SFP, and non-dietary ingredients such as excipients, capsules, and coating materials. In addition, in-process specifications must be established for any point, step, or stage of manufacturing and packaging processes. Simply put, these specifications focus on verifying material composition thorough a series of physical tests and examinations such as in-process checks and metal detection. These specification requirements can be met by developing a comprehensive Master Manufacturing Record (MMR) as required in 21 CFR 111.210. Packaging and labeling specifications for components including container closure systems and materials that may come in contact with finish product including desiccants, cotton, pouches, lids, outer cartons, labels, and inserts should include approved/qualified supplier information, name and description of item, and physical attributes such as material type, size, dimensions, and color. Physical attributes and item descriptions can be obtained from a reliable C of A. Keep in mind that packing specifications must be developed for every packing configuration used for finish products. Set process and control specifications within the MMR and set a requirement that visual examination for each batch will be performed. Finally, finished product specifications (FP) establish the identity, purity, strength, composition, and limits of contaminates for each finished batch of dietary supplement. In short, the finish product specification details testing requirements for a finished batch. All dietary ingredients listed on the SFP must be identified on the FP specification and additional requirements of minimum and maximum acceptance criteria. It is expected that the claimed SFP ingredients meet at least 100 percent of the label claim in order to meet the requirements NLEA detailed in 21 CFR 101.9. Release specifications may be set at a higher percentage to account for any needed overage amounts formulated into the product to ensure the 100-percent requirement is met throughout the product expiration date or best buy date. In closing, specifications development can be established based upon acceptable ranges and values set forth by industry, academia, and scientific data/results from published journals, and/or product history in manufacturing. Refer to NLEA mandatory and voluntary labeling disclosure set forth by FDA 21 CFR 109 (j). Accredited laboratories and American Herbal Product Association can provide guidance for building the appropriate specification to include test method. Reference any sources used to determine appropriate specification. If further assistance is needed, manufacturers can also work closely with the qualified supplier(s), an accredited 3rd party laboratory, and/or qualified consultants to help with specification development. Welcome to the January 2019 edition of EASeNews! We hope this year, as with each year, brings a renewed commitment to safety and innovation in the advancement of your product lines and business. As the Government Shut Down continues, FDA recently announced that agency operations will continue to the extent permitted by law, maintaining core functions that address imminent threats to the safety of human life as well as activities funded by carryover user fee funds. FDA will continue to respond to emergencies – such as monitoring for and quickly responding to outbreaks related to foodborne illness and the flu; support high-risk food and medical product recalls when products endanger consumers and patients and pursue civil and criminal investigations as appropriate and continue screening food and medical products that are imported to the U.S.. Mission critical surveillance for significant safety concerns with medical devices and other medical products will also continue. During this period of lapsed funding, however, FDA does not have legal authority to accept user fees assessed for FY 2019 until an FY 2019 appropriation or Continuing Resolution for the FDA is enacted. This includes regulatory submissions for FY 2019 that require a fee payment and that are submitted during the lapse period. At EAS we are also committed to ensuring our message of compliance reaches the industry. Most recently, our initiative to create video shorts discussing industry challenges and EAS capabilities is well underway! I am pleased to announce the release of Senior Director of Pharmaceuticals and Medical Devices, Bryan Coleman’s discussion of the importance of good preparation for FDA’s GxP audits as well as our auditing services; and Senior Director of Food Consulting Services, Allen Sayler’s discussion of challenges for the dairy industry, particularly in light of the many oversight organizations, as well as EAS’ dairy capabilities. In December we also released our first Hot Topic Report, a short video with Bryan Coleman discussing CDRH increased numbers of medical device inspections and what that means for the industry. We plan to release new hot topic videos to coincide with important FDA announcements. Watch your inbox for these pertinent updates impacting to your industry. For those who work in Dietary Supplements I am pleased to announce a new training effort aimed at employees and management who are looking to complete their annual GMP compliance refresher training. EAS will host a series of four one-day GMP Refreshers around the country and we invite you to consider outsourcing your quality department’s training to our experts! Join us at one of our upcoming events taught by our internationally recognized compliance experts and gain a greater understanding of your requirements under FDA’s 21 CFR 111. For those looking for a deeper dive into GMPs we remind you of our two-day full GMP Compliance seminar, which will take place April 2-3, 2019 in Philadelphia, PA. Earlybird rates will expire on February 2, 2019. In addition, our Food Labeling and Dietary Supplement Labeling Compliance seminars will also take place in Philadelphia, March 12-13 and March 14-15 respectively. More information is found on our EAS website. Our Issue of the Month article, written by Independent Consultant Tamika Cathey who works in dietary supplement GMP compliance (and who is our trainer for the August 13 Refresher training in Andover, MA), discusses specifications development – which continues to challenge the manufacturing industry. Our Ask the Expert is written by Steve Armstrong, Independent Advisor for Food Law and Regulation, and discusses FDA’s decision to delist seven synthetic flavors and how that decision impacts those firms still using them. Finally, our FSMA perspective, written by Independent Advisor for FSMA, Charles Breen, reminds all firms, (and specifically those working in produce and sprouts as new compliance dates for these industries arrive at the end of January), that food safety is a diligent and on-going process of review, redevelopment (as needed) and execution of pertinent practices to keep consumers safe. As always, thank for reading our updates and for your interest in EAS. Feel free to share this newsletter with your colleagues and let me know if you have questions.